Apple’s high-end notebooks certainly receive all the attention upon their announcement and release. But for all the great products that we see coming from Cupertino’s coffers, there’s seemingly always another one waiting to unseat it, however unnoticed or subtle its introduction may be. 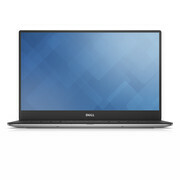 Today, that product is the Dell XPS 13-9343: an Ultrabook that not only looks absolutely stunning, but which is also clearly designed with the most deliberate attention to practicality and functionality. 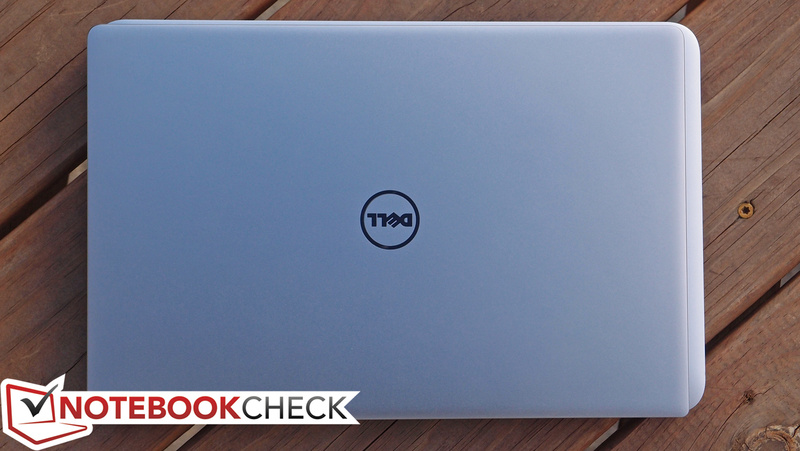 It is, in fact, smaller and lighter than the MacBook Air, has a far superior screen (with touch optional), and Dell claims that it can provide better battery runtimes, too—all without sacrificing performance. Various configurations are available—including those sporting a “standard” 1080p non-touch screen for a quite reasonable price of $799—but our review unit is considerably better equipped. 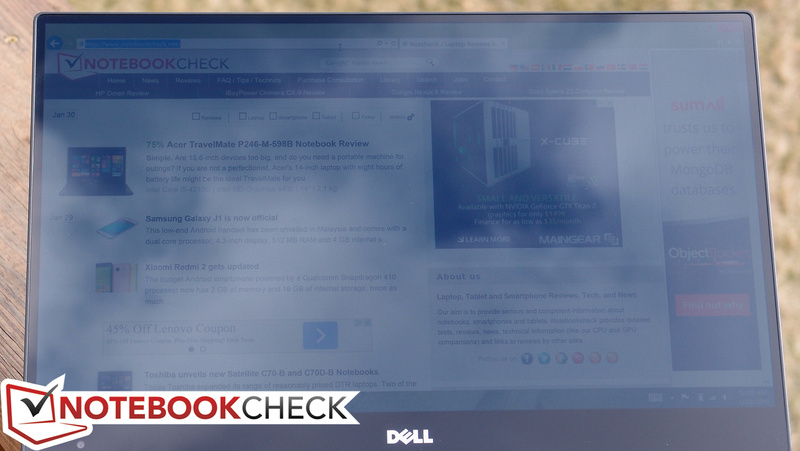 At $1,399 MSRP, we received an Intel Core i5-5200U CPU, 8 GB RAM, a 256 GB SSD, and a Quad HD+ touch display with the most ridiculously thin bezel we’ve ever seen on a notebook. 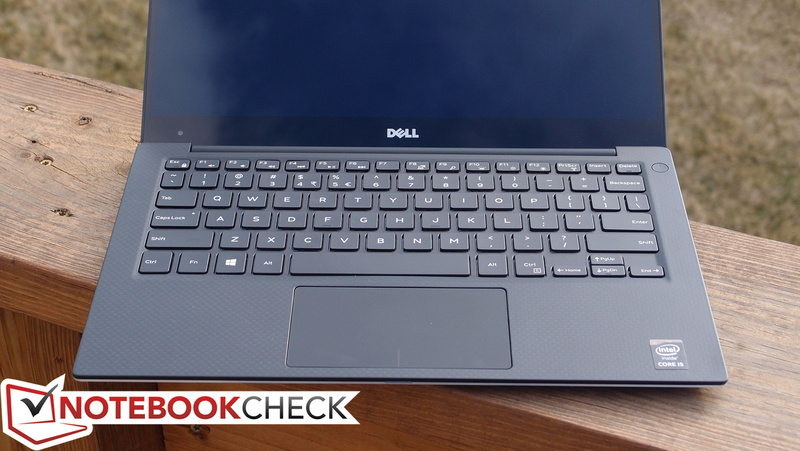 Much like the aforementioned MacBook, everything about the XPS 13-9343 screams quality and deliberation. But can it live up to its promises across the board? With math and science as our witnesses, we hereby begin our evaluation of a truly beautiful, and equally ambitious, specimen. Dell’s design of the XPS 13 has been widely praised from the start. 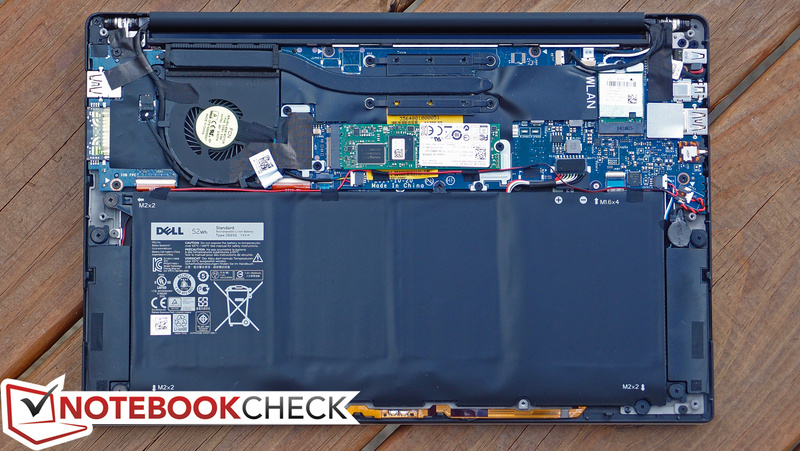 In 2012, we proclaimed that the original XPS 13’s “stability and build quality [were] on an exemplary level”—something echoed yet again in our review of 2014’s Haswell refresh (whose case was practically identical). As the saying goes, if it ain’t broke, don’t fix it. Now that we’re seeing the first redesign of the model’s life, is there cause for concern? Hardly. For starters, this is one truly beautiful machine. 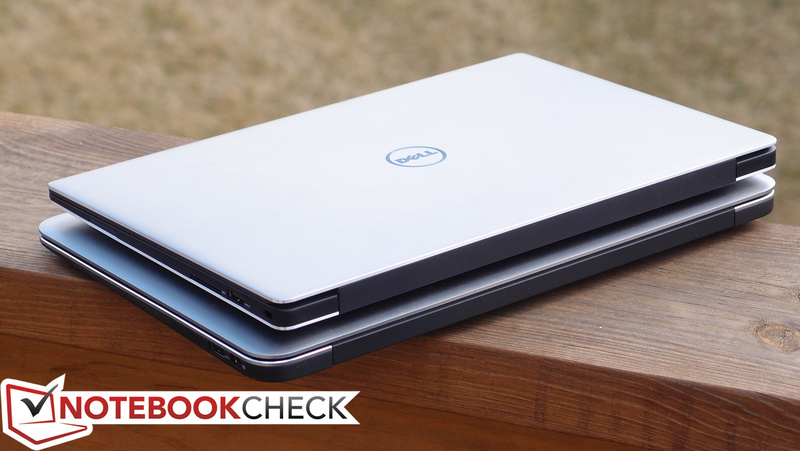 In spite of the evolutionary alterations Dell’s designers have chosen to make, things are comfortably familiar: most of the same design language persists, with the silver-and-black color combination that made the original models so slick still intact. Function and form coexist harmoniously via smart selection of construction materials and intelligent implementation of all the subtle necessities. 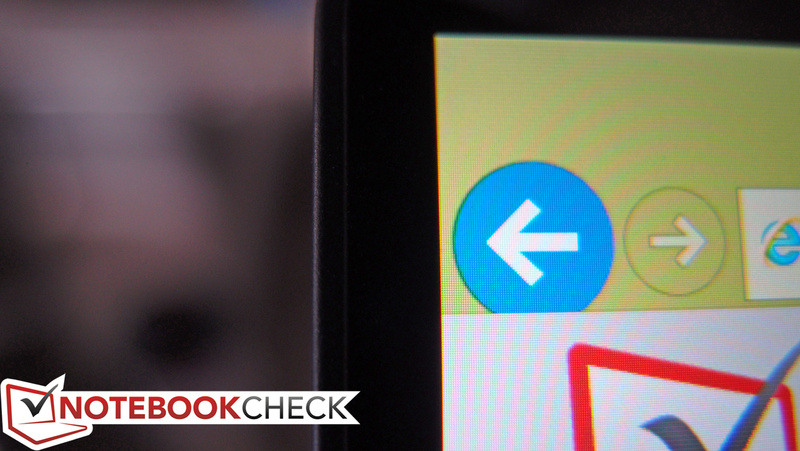 Aesthetically, the rounded edges have been traded for sharper-pointed corners, and we think it looks great. 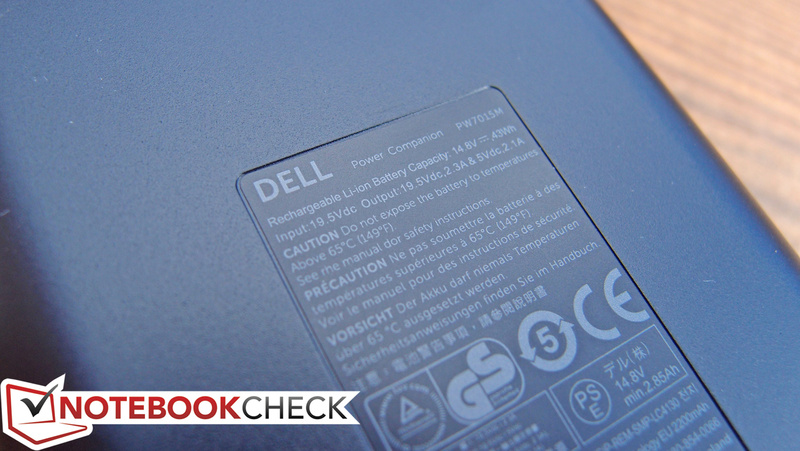 In spite of a case which is noticeably smaller and nearly 8% lighter (weighing just 1.276 kg), the XPS 13-9343 still feels solid as a rock. This is primarily due to the first of the notable functional changes: the fact that the carbon fiber bottom has now been traded for single piece of curved aluminum to match the lid. This provides greater rigidity and resistance to twisting and flex, not to mention a lack of the subtle popping sound which could be provoked of the previous design with a bit of pressure. Meanwhile, the display lid also seems more rigid than before, sporting excellent torsion resistance and very good protection against rear pressure. 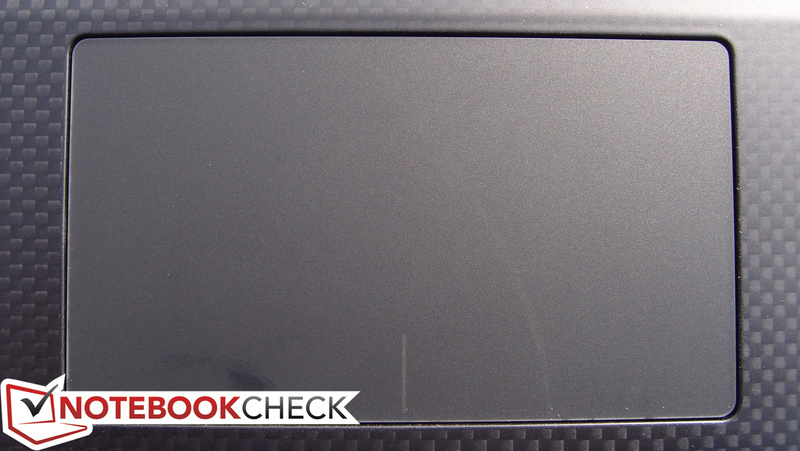 The carbon fiber hasn’t been omitted, however: it’s migrated to the palm rest, where its attractive checkerboard pattern better obscures fingerprints, and its composition helps to keep the surface cool during operation. The base is still wedge-shaped, featuring a slight incline going from front to back which provides for comfortable typing. The bottom of the unit still features the same silver XPS nameplate covering all of the component labels, and the two large rubber feet still span the width of the unit to hold the base firmly in place on a surface. 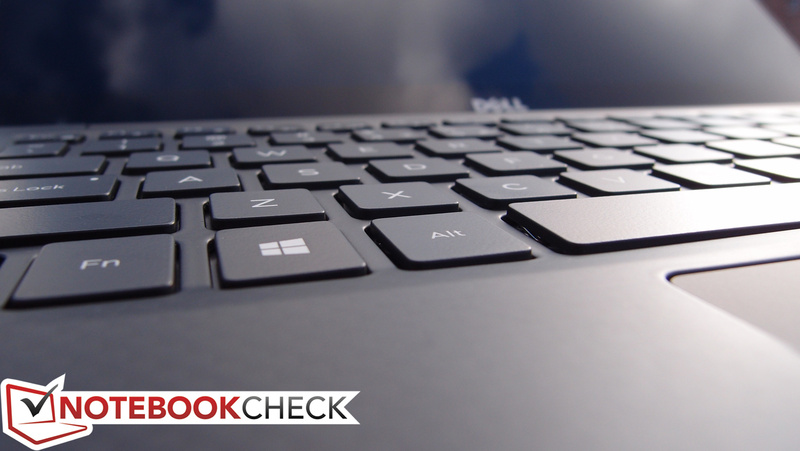 Finally, the hinges keep the display lid stationary even during heavier typing and tapping—actions which normally spell trouble in the way of dancing reflections when it comes to most glossy-screened Ultrabooks. All the bases are covered; honestly, there is no room for substantive criticism. The last topic is maintenance, and finally we encounter the first minor complaint about the design: the eight Torx screws (along with one Phillips-head beneath the nameplate) that secure the bottom panel to the base unit, which require special bits that many folks don’t have sitting around their house. Of course, not everyone is given to opening and maintaining their PCs, but those who are and do pick up a Torx driver will be pleased with the rest of the story: once the cover (carefully) snaps off, components are easily accessible within. It is worth mention that, as is often the case with such ultra-compact units, the RAM is soldered to the board (and thus not replaceable). One final nitpick: the notebook cannot be opened with a single finger; due to the strength of the hinges, one has to hold down on the base unit while lifting the screen or else the entire unit lifts off the surface. With slimmer form factors comes less edge real estate—and thus inevitable sacrifice in the realm of port selection. 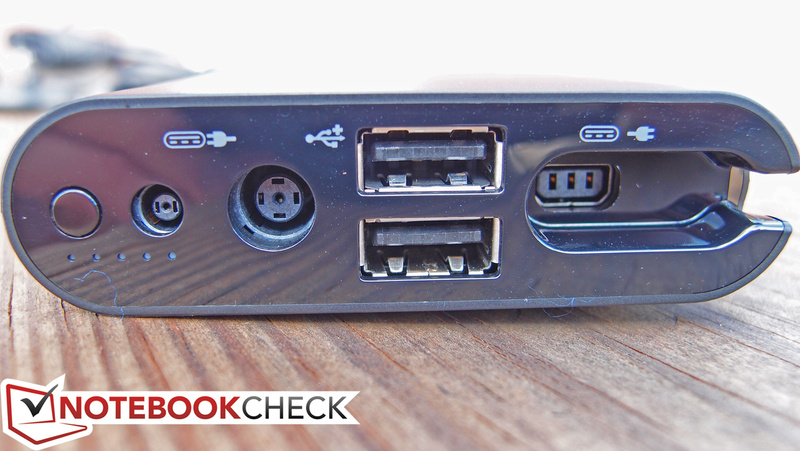 Two USB 3.0 ports isn’t unreasonably restrictive (one of which features Powershare), though the lack of HDMI and Ethernet will discourage some business users. 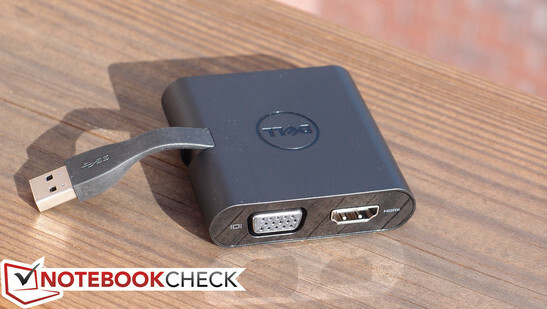 Nevertheless, the ever-versatile mini-DisplayPort is on board, which (with the help of an inexpensive adapter) can convert to VGA, DVI, or HDMI as needed. 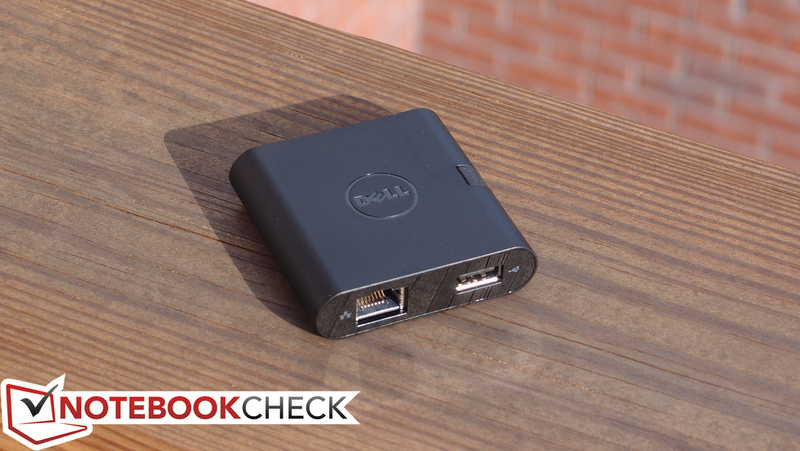 And Dell produces a useful pocket-sized port replicator to help compensate, too—which we’ll cover in just a bit. On a final note, the addition of an SD card reader is a nice bonus that nearly everyone can appreciate. Except for the close proximity of the DisplayPort and left USB port, placement isn’t an issue. All of the ports conveniently line the sides of the unit, preventing the need to reach around to the back to plug something in. 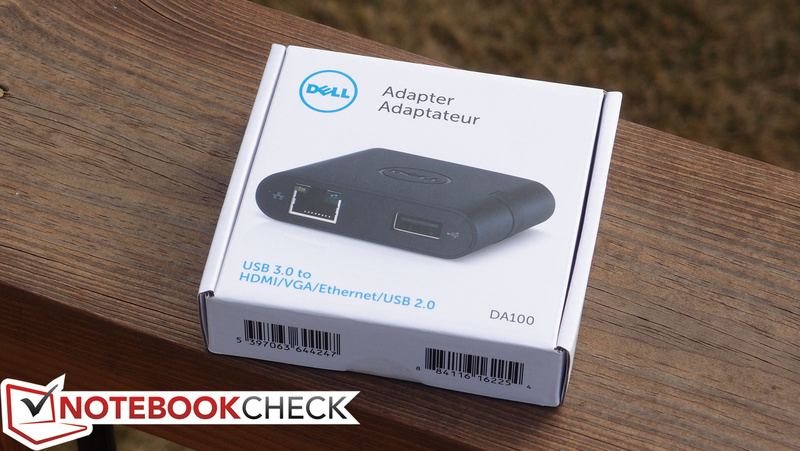 The XPS 13 ships with but one option for wireless networking: the Dell Wireless 1560 adapter, which is an 802.11ac dual-band 2x2 WLAN adapter. 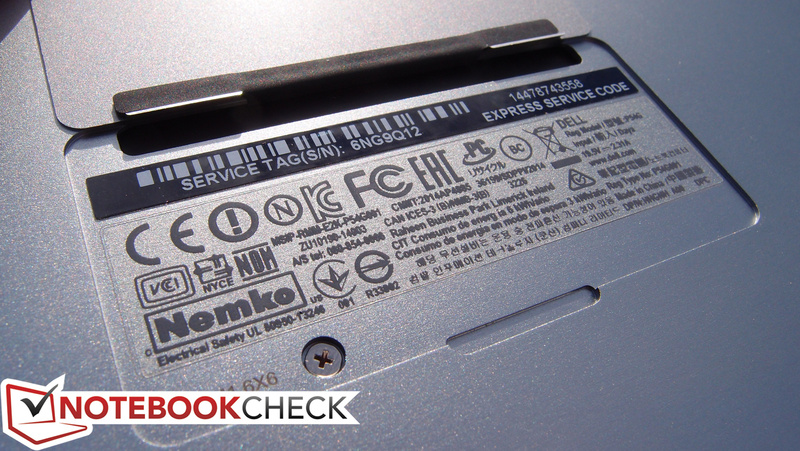 Reception isn’t as pristine as our Dell Latitude E7440, but it’s serviceable. This adapter also includes Bluetooth 4.0. There is no Ethernet included on-board, but with the help of an adapter, it’s possible to add it. 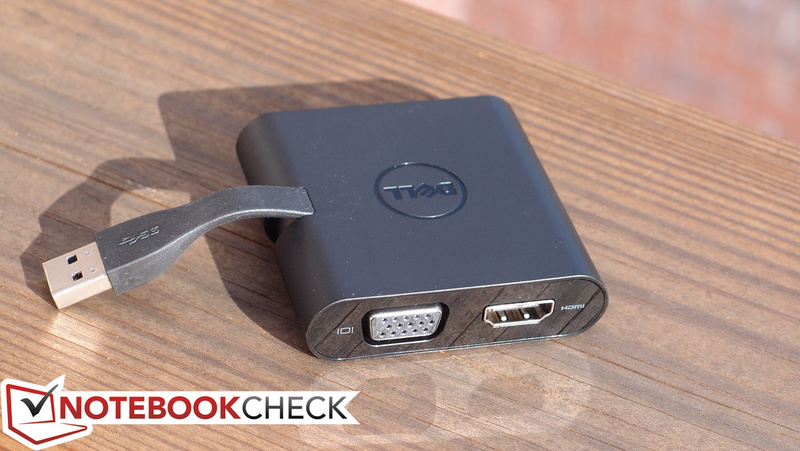 If you’re not sweating the speed of one of your USB 3.0 ports and wouldn’t mind trading down to a USB 2.0 port, you can also leverage the addition of HDMI, VGA, and (Gigabit) Ethernet, all thanks to Dell’s DA100 4-in-1 Adapter (just $60 currently). 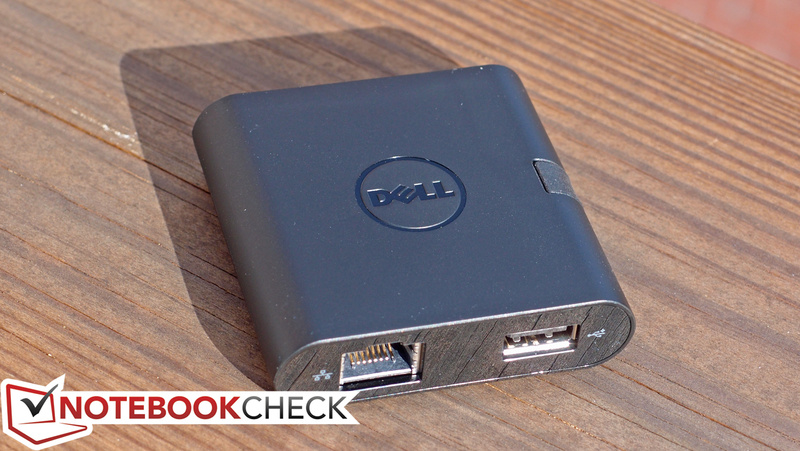 “Gigabit” is mentioned parenthetically as Dell does not advertise this as a Gigabit port. That’s probably because, as we found during our testing, it only performs as such when other bandwidth isn’t crowding its space. For instance, when performing a file copy from a server over the network, we witnessed speeds of over 110 MB/s with no other activity on the DA100, but once we connected a 1080p HDMI monitor and began streaming Big Buck Bunny in 1080p (with audio), the speeds dropped to just 35 MB/s. Still, it’s useful to know that speeds exceeding 100 Mbps are possible when conditions are right. Although it can’t compete with the larger, higher-end docking stations on the market in terms of performance, the DA100 is functional and compact. 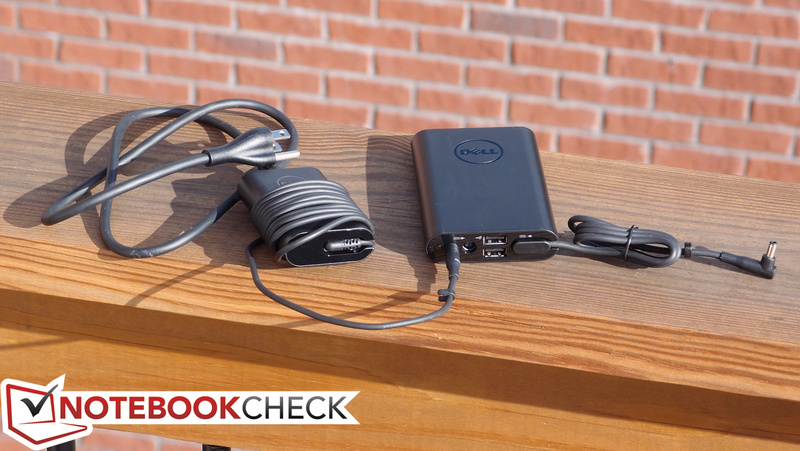 And best of all, it does not require any sort of external power to operate—only that which is provided via the USB 3.0 port from the PC. This makes it incredibly handy for business professionals in a pinch who simply need the convenience of greater port variety. In terms of build quality and design, it’s nearly identical to Dell’s newer power adapters (including the one which ships with the XPS 13). That is, although it’s made of plastic, it’s attractive, understated, and lightweight (weighing just 50 grams). 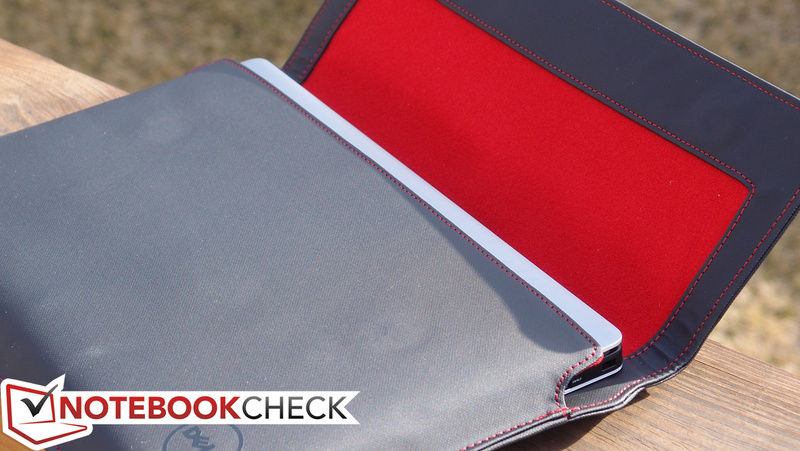 It’s also well-designed, with a short (and flat) fold-under USB cable and two rubber feet to keep it stationary. Apart from the VGA and HDMI ports being rather close together, we have few complaints; it’s really a nice unit to have on hand. 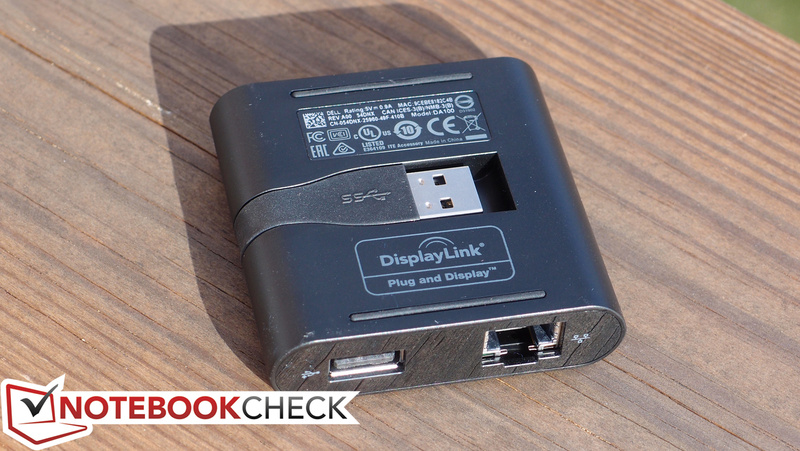 The next accessory we received is essentially a combination power splitter and portable battery pack, enabling the user to charge both a laptop and up to two additional devices via USB (e.g., phones, tablets). The kicker is the built-in 12000 mAh (4 cell, 43 Wh) battery—which allows the adapter to provide a charge even when unplugged. 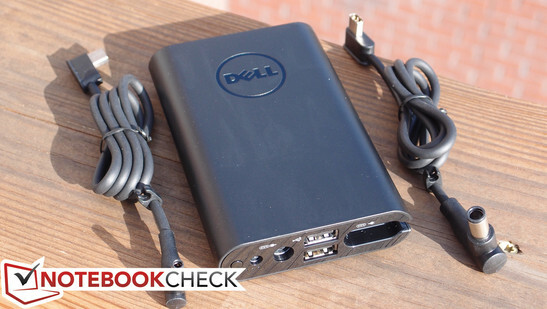 Portable battery packs are nothing new; the real benefit here is for owners of Dell laptops: not only do you get the usual USB ports to charge your plethora of compatible devices, but you also receive two cords (one with each size Dell charging tip) to connect to a wide range of lower-voltage Dell notebooks. Again, as with the DA100 and the standard AC adapter, the build quality is good, styling is consistent, and the design is thoughtful. 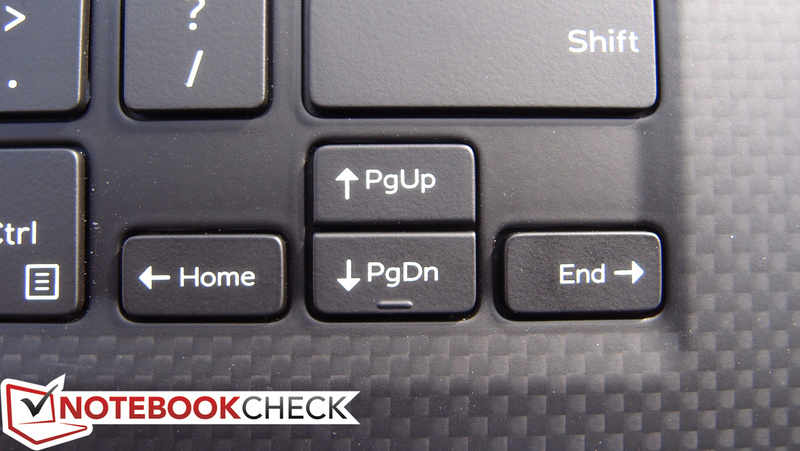 Port spacing is acceptable, and there’s even a handy charge indicator which matches the style of the XPS 13. The unit weighs 314 grams. 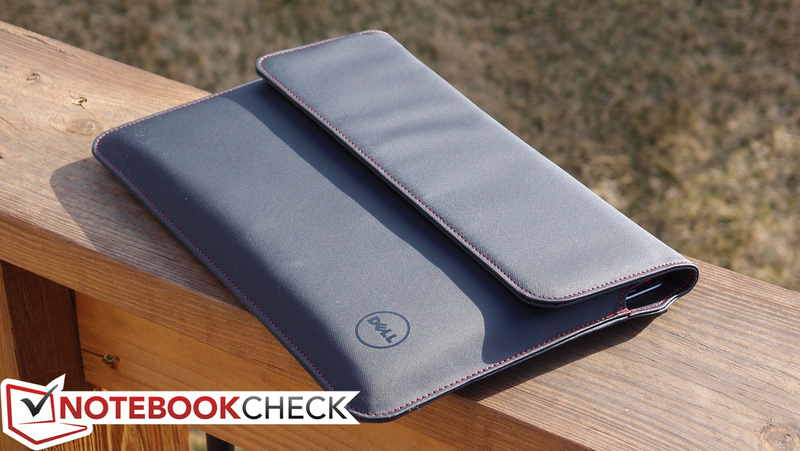 This final accessory that came bundled with our unit is a custom-fit carry case for the new XPS 13. It’s made out of comfortable yet durable (and lightweight—248 grams) tarpaulin and other materials, featuring a smooth exterior but a soft cushioned interior that helps protect the notebook in transit. 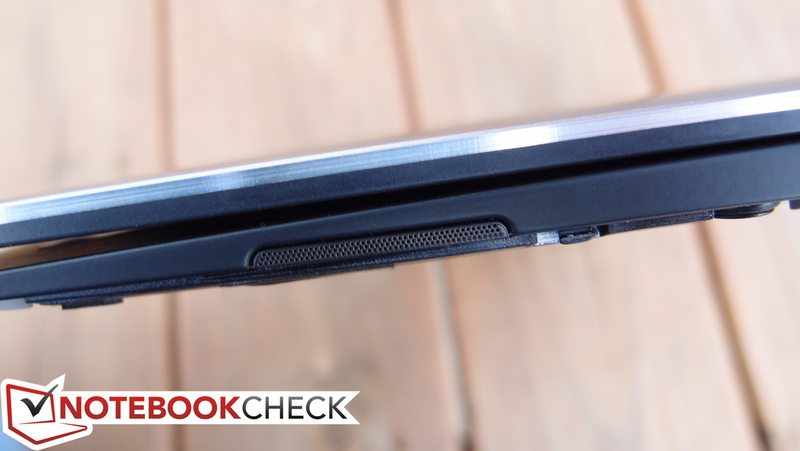 A row of magnets snaps the flap shut effortlessly in a design which almost resembles some of the Lenovo ThinkPad Ultrabook fare. 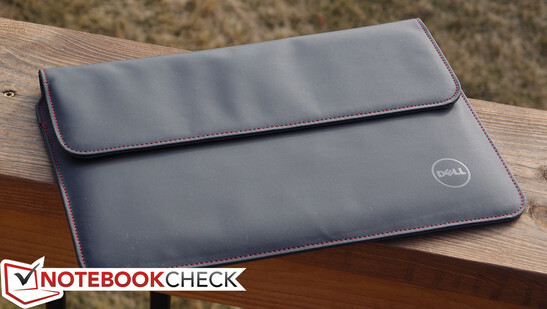 This accessory isn’t cheap at $50, but it feels as though it will last—and it seems like it will do a much better job protecting the notebook than the average run-of-the-mill gel sleeve might. 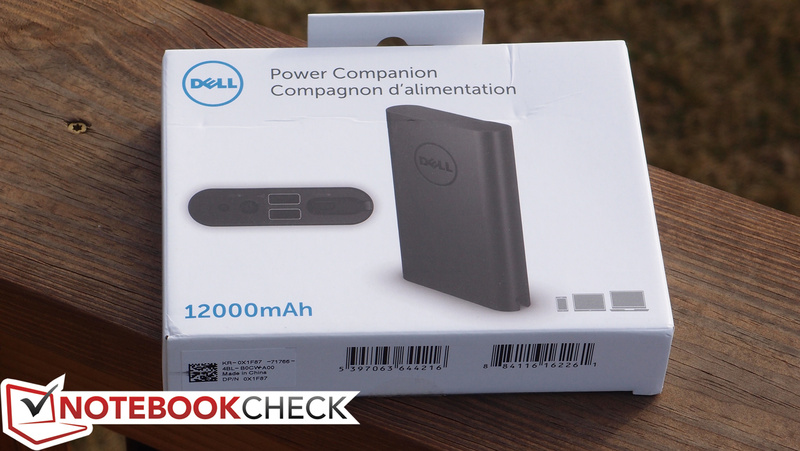 The XPS 13-9343 ships with a compact AC adapter weighing just 254 grams. It’s a 45 W adapter, which still seems sufficient to charge the machine relatively quickly. 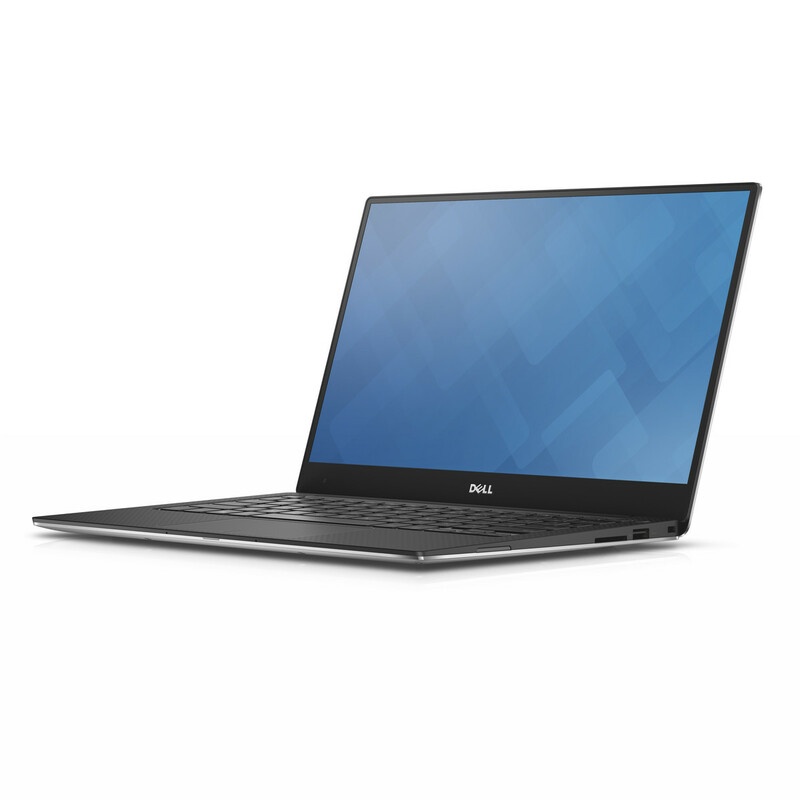 The XPS 13-9343 includes a 1-year Enhanced Support warranty (In Home Service after Remote Diagnosis, 1–2 day turnaround, Premium Phone Support with software and hardware assistance). Upgrades to longer coverage terms are available, as well as Accidental Damage Protection. The keyboard on the XPS 13 is completely different from that of the previous models. Fortunately, while key travel is notably shorter, the overall typing experience is actually better. Feedback is very good, with a crisp stop and audible (but not annoying) click accompanying each keystroke. Actuation force is quite low, making the typing experience effortless but palpable. We experienced reasonably accurate typing without much of a transitional period, and our speeds were above average. 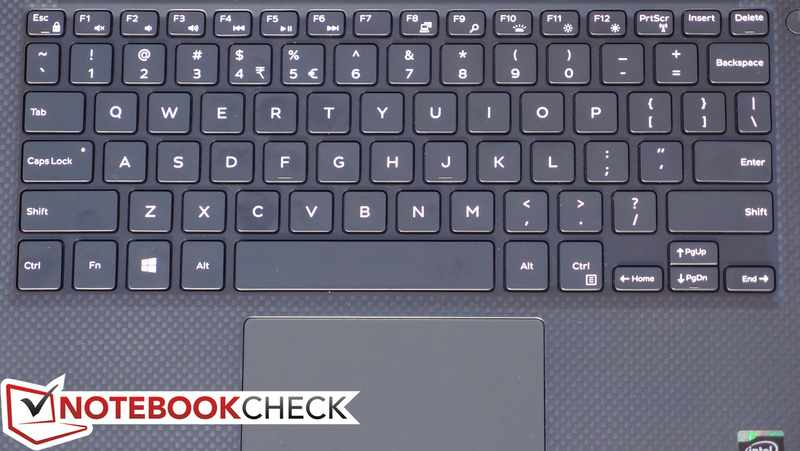 The keys feel tight and their surfaces are smooth and comfortable; our only complaint is that they attract and retain grease very easily, and it remains visible on the most frequently used keys until vigorously cleaned (such as the space bar). The layout is good. 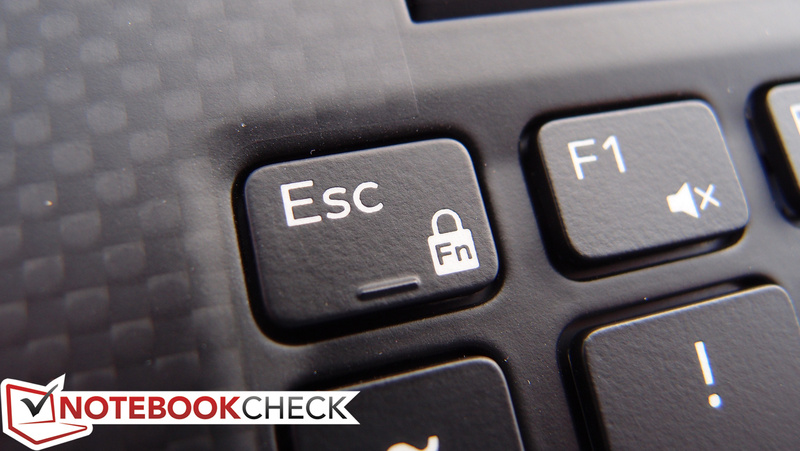 The function key row can be locked to the secondary functions, essentially requiring the Fn key combination for F keys and allowing the hardware control toggles to serve as defaults. Key sizes are mostly standard, with only the far left and right vertical columns seeing some shrinkage—and nothing catastrophic or truly disruptive, either. 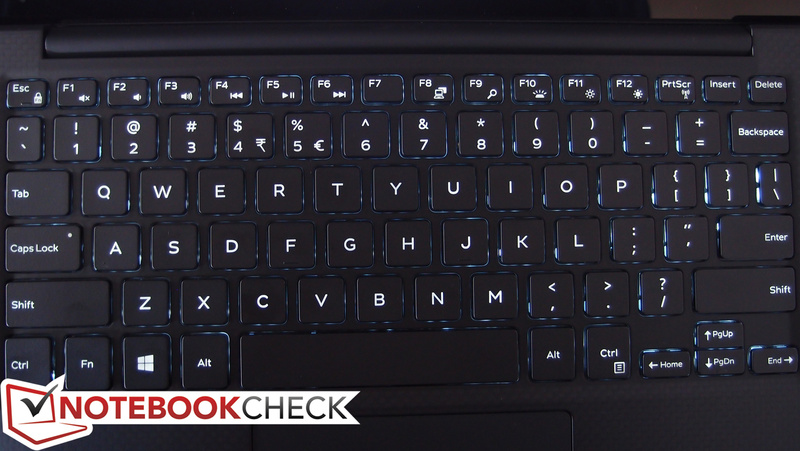 The keyboard is also backlit, featuring three levels of brightness in addition to off. Overall, it’s a very good keyboard. When compared to previous XPS 13 models, typing requires less effort and feels somewhat more comfortable as a result. The lack of travel is the only sticking point, but after a bit of adjustment it proves unproblematic. 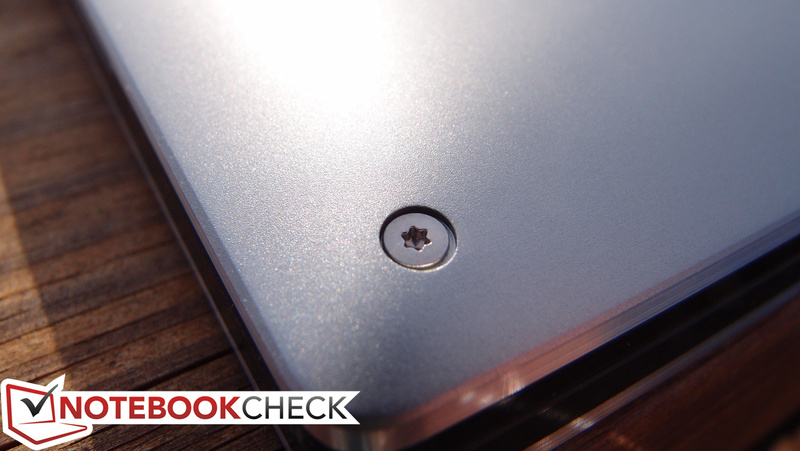 The touchpad also functions well. We found it to be precise and easy to operate; despite the machine’s uniquely small footprint, it still is more than sufficiently large. The matte surface finish is smooth and encourages effortless finger gliding, whereas the integrated buttons, however controversial they remain, gave us no trouble throughout our testing. Multitouch gestures and scrolling were also handled well. One odd (and uncommon) caveat is that absolutely no dedicated driver settings were available for adjustment for the XPS 13’s touchpad. It wasn’t a problem during our testing, but it’s still nice to have those options available. 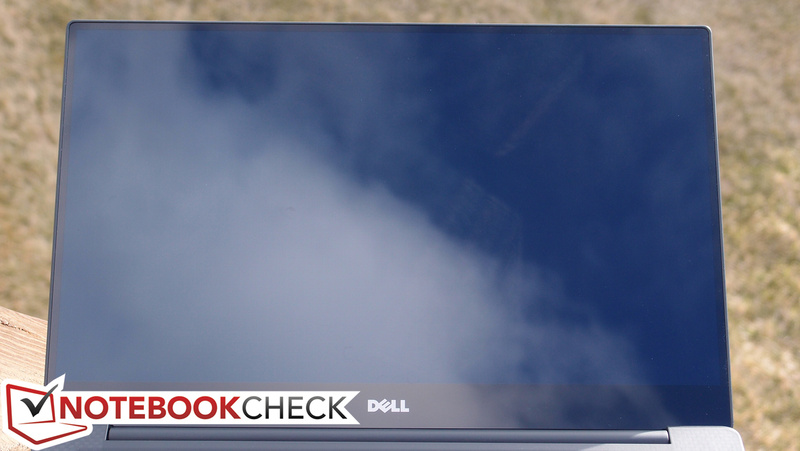 The XPS 13’s touchscreen functions as accurately as any we’ve used, and the edge-to-edge “infinity” glass display means that tapping and edge-based gestures don’t pose any challenges. 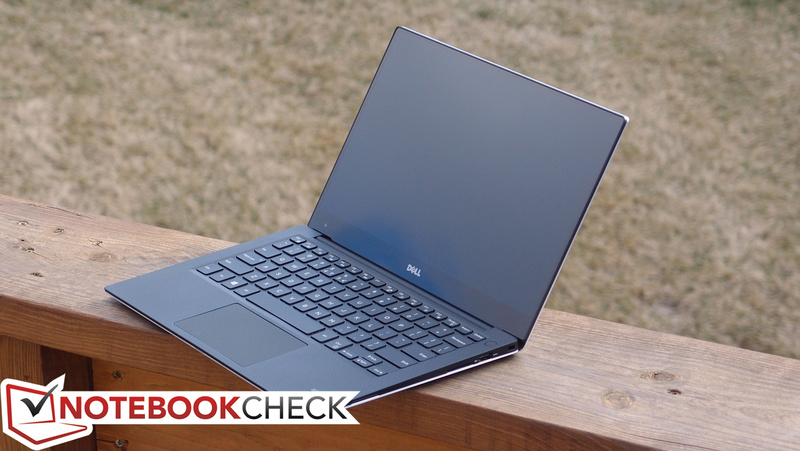 Once you look past its sheer portability, the XPS 13’s 13.3-inch display is certainly its most stunning aspect. There are actually multiple options, beginning at the “low end” with a mere 1080p non-touch panel (on models starting at $799 MSRP), and ranging all the way up to the utterly fantastic option we received in our review unit: a QHD+ (3200 x 1800 resolution – 276 PPI) glossy IPS multitouch panel. Upon first impressions, brightness, contrast, and color reproduction all appear to be excellent. 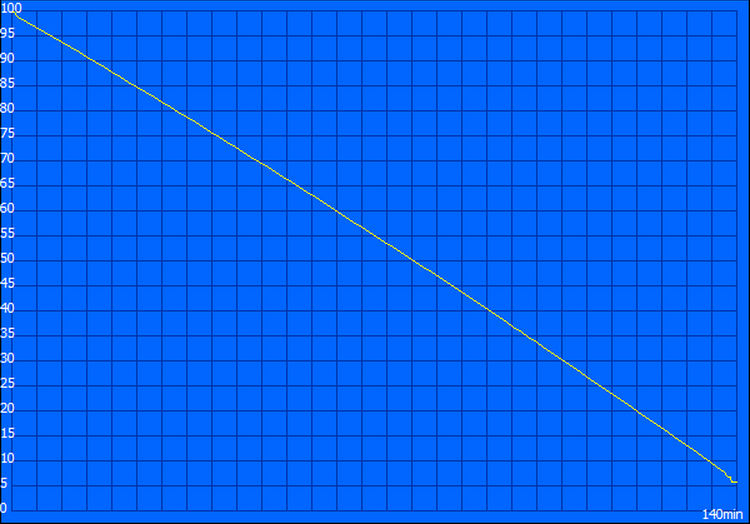 The only slight negative is the incidence of an ever-so-slight flashlighting effect at the bottom-left quadrant of the screen near the bezel. 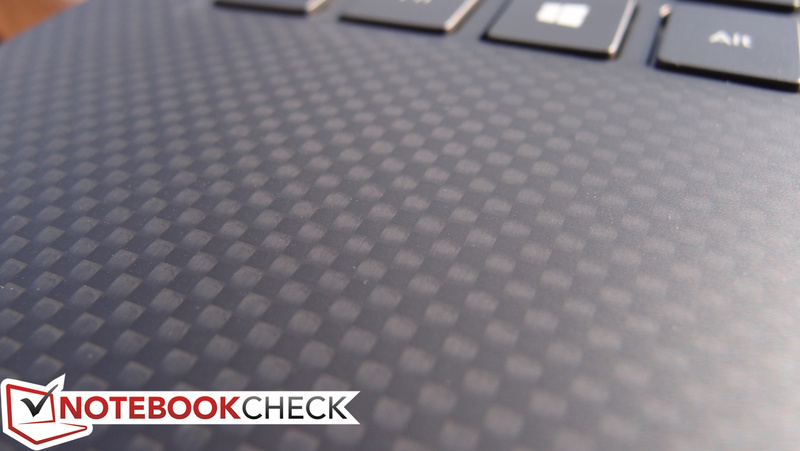 Speaking of which, it’s the ultra-thin bezel that makes the XPS 13’s screen even more amazing. Not only is the panel itself beautiful, but with the lack of surrounding material, there is nothing to distract from its brilliance. 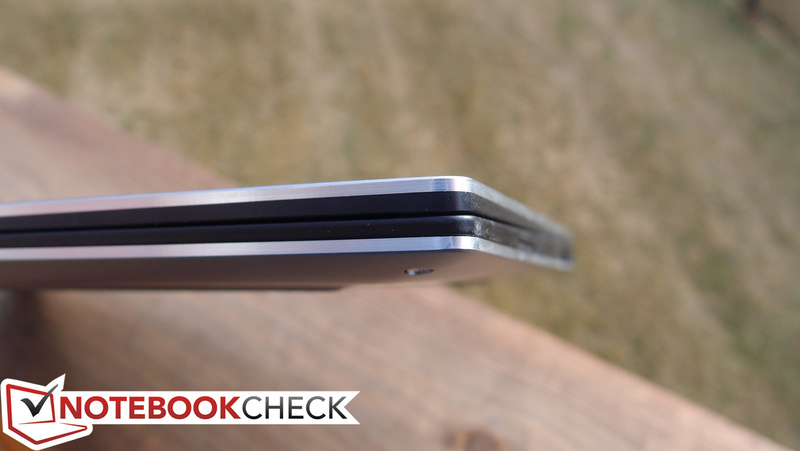 It somewhat appears to be floating above the base unit—a unique but welcomed (and beneficial, too, in terms of compactness) property which we hope will become more commonplace on future Ultrabooks. On to our measurements. 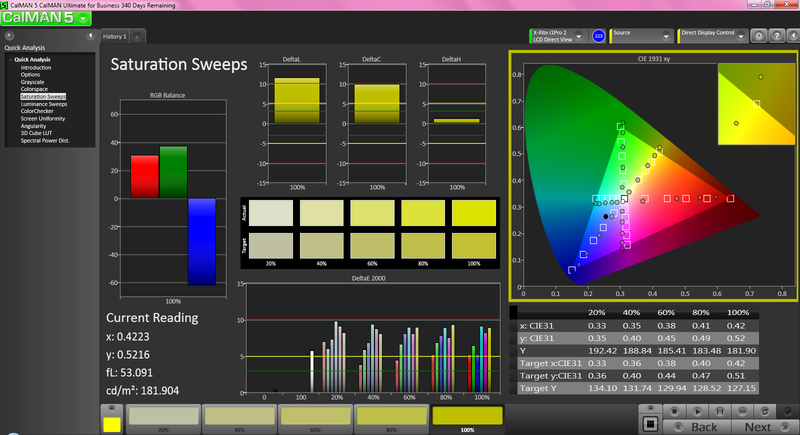 We recorded an average brightness of 372 cd/m², which is very good overall, and appreciated in light of the extra-reflective screen finish. It’s also far better than the MacBook Air 13’s 263.2 cd/m². Meanwhile, our contrast measurements produced a magnificent result of 2063:1, thanks to a low black value of just 0.178 cd/m²—again, absolutely dwarfing that of the MacBook Air (just 875:1 with a 0.32 cd/m² black value). The only slight against the screen is its brightness distribution of just 77%, thanks to considerably dimmer readings in the lower-left quadrants of the panel than near the top. This is only barely noticeable in practice however. It is worth mentioning that some users are reporting an inability to disable what appears to be built-in panel power savings measures which reduce contrast and brightness slightly when darker screen elements are introduced. In our testing, we were able to provoke this, but it was hardly bothersome in our opinion (and indeed quite difficult to detect under normal circumstances). Displaying a completely black screen and then immediately switching to a white background produces the conditions where this may be noticeable. Still, regardless of the subjective insignificance of this issue, it would be nice to have an option to disable this behavior. 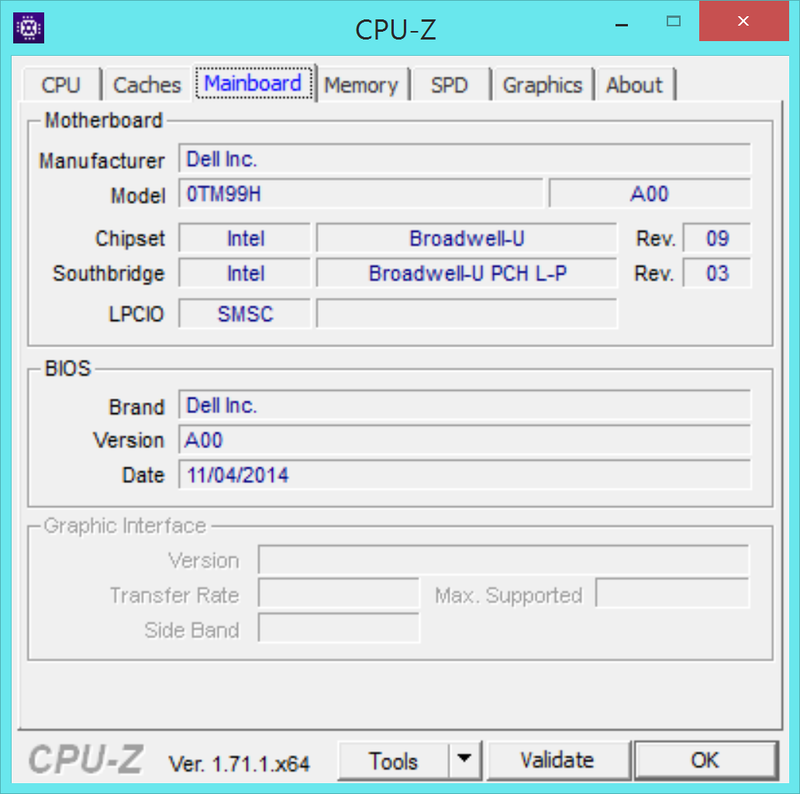 Normally the option exists either in the BIOS or in the Intel Display Control Panel under Display Power Saving Technology—however, this option is not shown in any of the XPS 13 display driver or BIOS versions. The panel manages sRGB coverage of 96% (Correction 20.5.2015 due to a wrong sRGB-reference-profile), which is quite good, though not top-tier. Case in point: AdobeRGB98 coverage is merely 63%, which means that serious photographers and graphic designers may be somewhat disappointed. 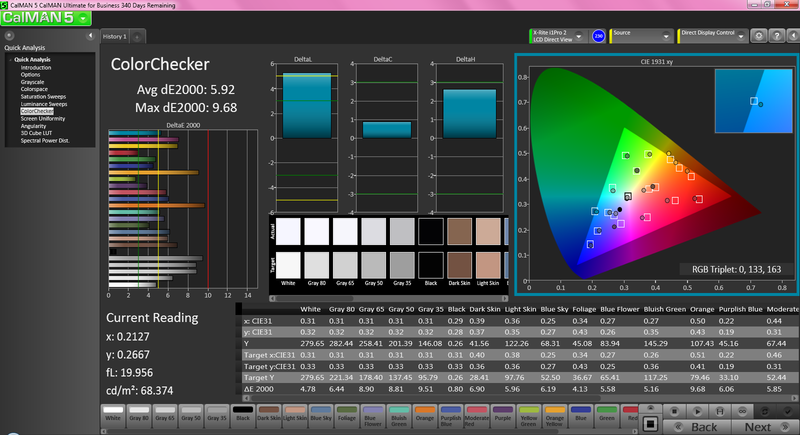 Still, this is an undeniable improvement over last-gen’s XPS 13-9333, which only scored 76% sRGB coverage. 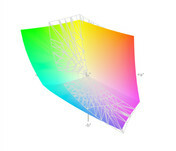 CalMAN offers a deeper look into the panel’s color reproduction performance, which really is quite decent out of the box, though not as good as the MacBook Air’s in this case. We measured an average ColorChecker DeltaE of 5.92 cd/m² (ideal: 0), which is just barely visible to the trained eye—not great, but not bad, either. Meanwhile, a total gamma of 2.42 (ideal: 2.2) and slightly cool CCT Average of 7013 (ideal: 6500) makes for a fairly nice overall appearance. 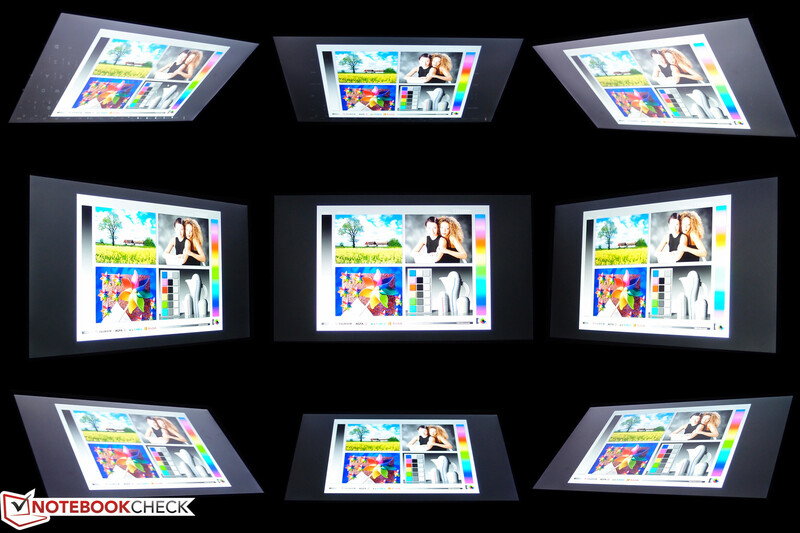 Outdoors, the panel struggles in the sunlight as all glossy screens do. Where reflections are kept at bay (especially in the shade) things are far better; the machine is quite usable under such circumstances thanks to the panel’s high brightness and the stability of the hinges (which prevents wobbling and dancing reflections during use). Finally, viewing angles are nearly perfect barring the incidence of reflections, thanks to the IPS technology. 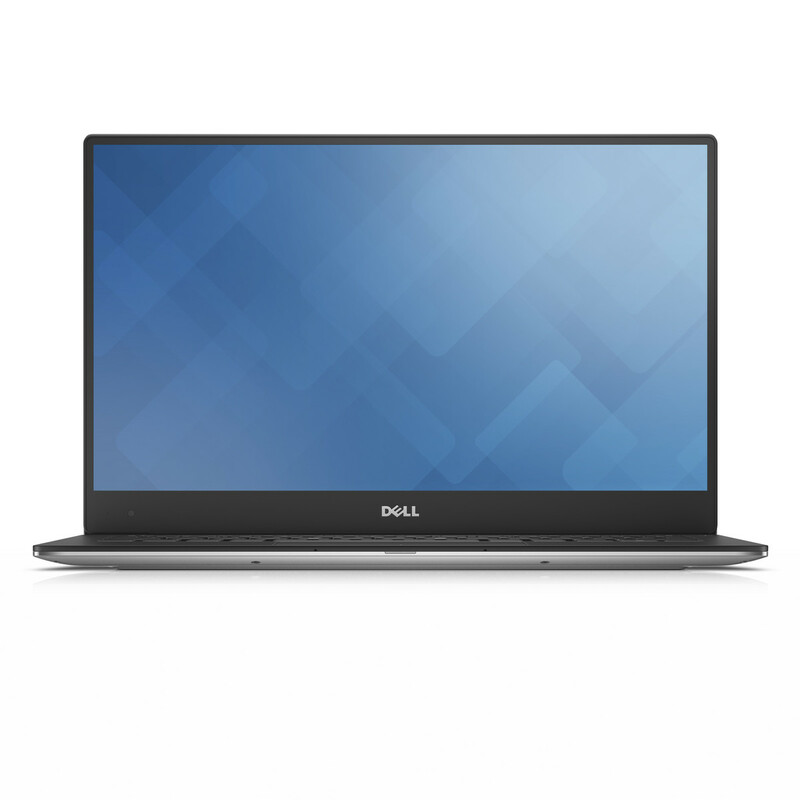 The XPS 13-9343 features CPU options ranging from the Core i3-5010U (with 4 GB RAM) all the way up to an i7-5500U (with 8 GB RAM). Storage options also scale along with the CPU selections: for instance, a 128 GB SSD is the sole option with the Core i3 configuration, whereas the only way to get a 512 GB SSD is to choose the i7-5500 ($1,899). The lowest-priced configuration with the Core i3 (128 GB SSD, 4 GB RAM, 1080p screen) will only set you back $799—quite a good value—whereas the top-end $1,899 setup still isn’t outrageously priced for what you get. It’s respectably competitive pricing. Our particular configuration features an Intel Core i5-5200U CPU, 8 GB DDR3L-RS RAM (soldered), and a 256 GB SSD. 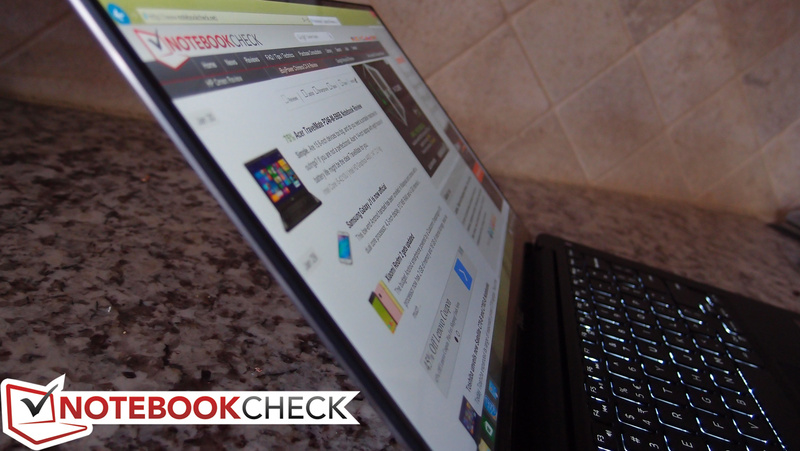 Subjectively, the machine feels fast—even quicker than the Yoga 3 Pro did with its Core Y Broadwell CPU, although that device really didn’t feel sluggish in the first place. 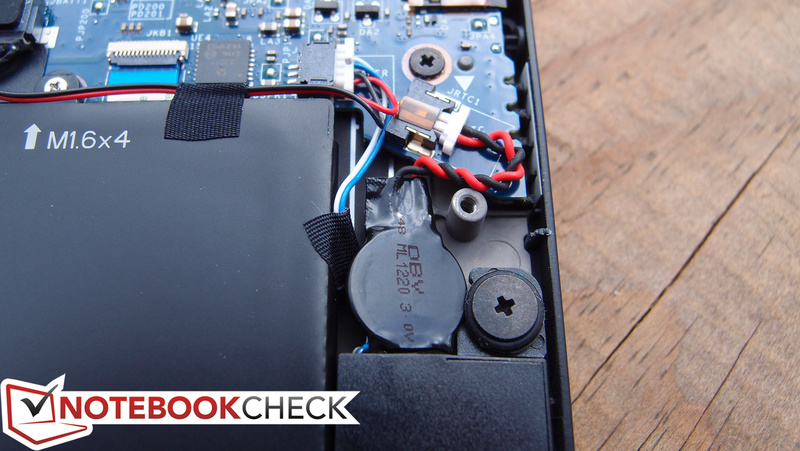 Remember that—apart from the storage device—what you choose is what you’re stuck with on the XPS 13: the memory is soldered to the board and is therefore not expandable. 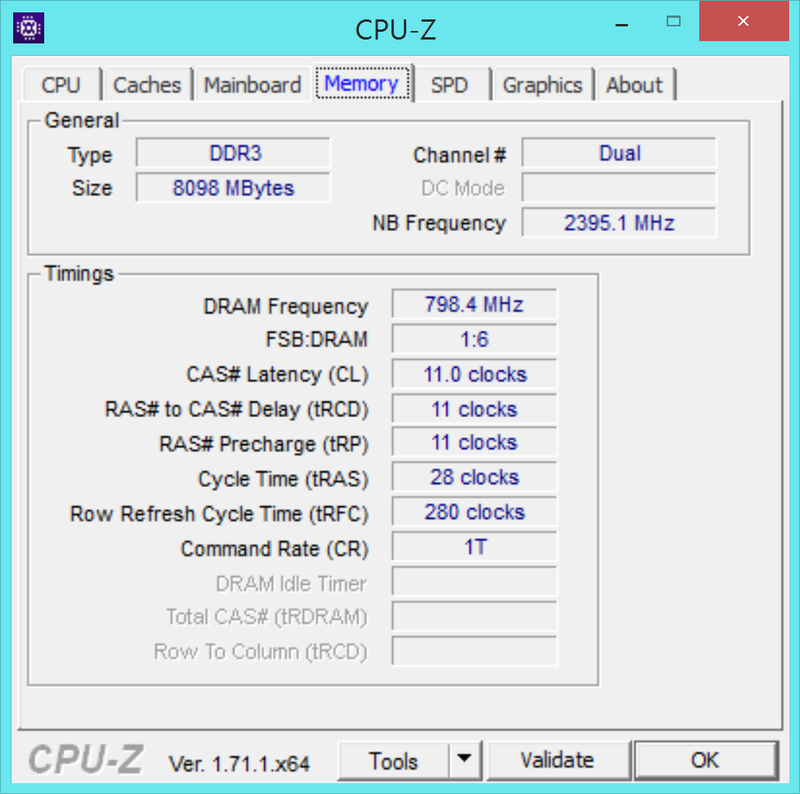 On that subject, you might have noticed that the memory type is DDR3L-RS; this is a Micron-introduced offshoot of traditional DDR3L memory which supposedly reduces standby power consumption by up to 25% (“Reduced Standby”). To check performance while running unplugged, we performed a subsequent run of 3DMark 06 and found no significant difference in the results (a score of 7354). 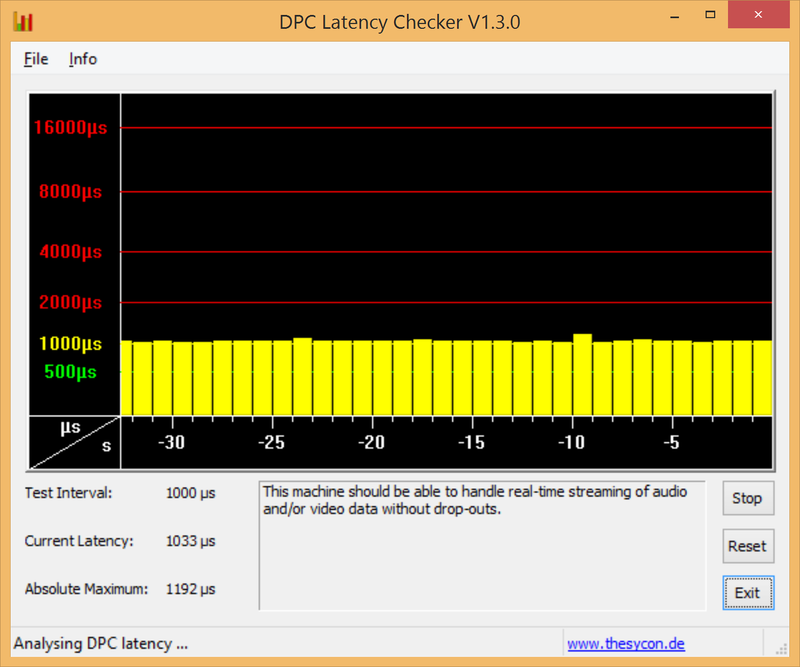 We also recruited DPC Latency Checker to evaluate the system’s ability to handle real-time streaming audio and video—again finding no problems. Intel’s Broadwell line of CPUs has only just been launched, and this is one of the first of the Broadwell Core i-series that we’ve had the fortune of testing. Specifically, our review unit features the Intel Core i5-5200U, which is a ULV CPU with a base frequency of 2.2 GHz and a max turbo frequency of 2.7 GHz (single-core) and 2.5 GHz (dual-core). It features a 15 W TDP and is designed to handle temperatures up to a scorching 105 °C. 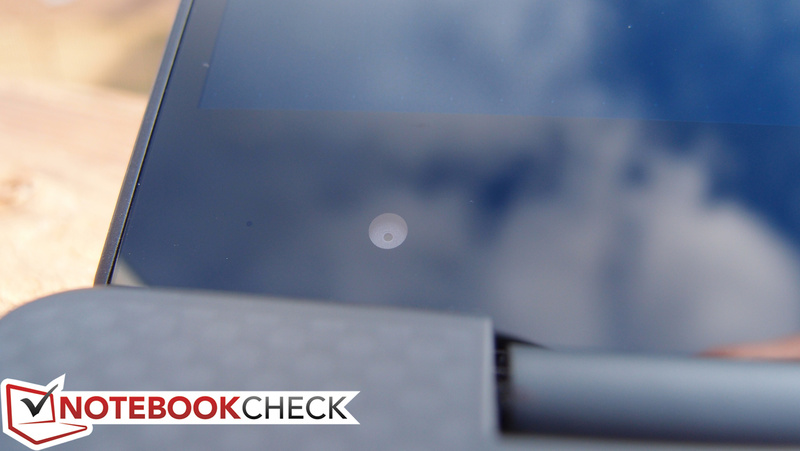 We’ll be interested to see how it fares after having been thoroughly underwhelmed by the Yoga 3 Pro’s processing power (via an Intel Core M-5Y70). 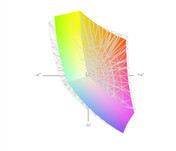 We should expect based on preliminary evaluation to see performance from the i5-5200U similar to that of the i5-4300U. Our actual results were fairly close. Let’s take a look a single-core performance first: in wPrime 1024m, the XPS 13 scored 643 seconds—a bit slower (nearly 5%) than the i5-4300U’s median value of 613 seconds—but right in line with what we’d expect based on the single-core turbo frequency discrepancy of 0.2 GHz (roughly 7%). Similarly, in Super Pi 32M, we recorded 744 seconds, whereas the i5-4300U median is 680.5 seconds (8.5% faster). 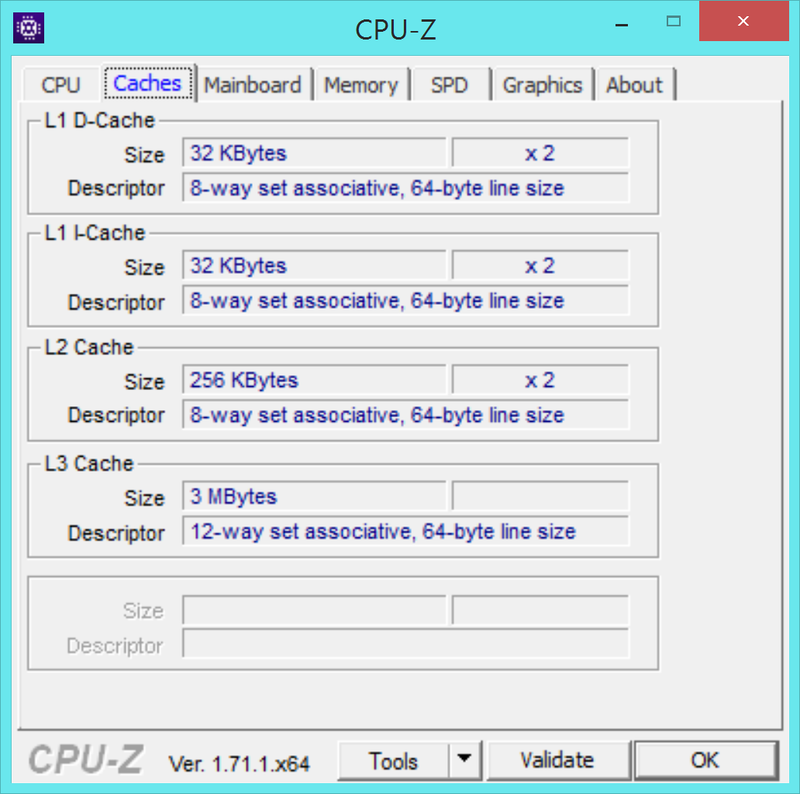 What about multi-core performance? 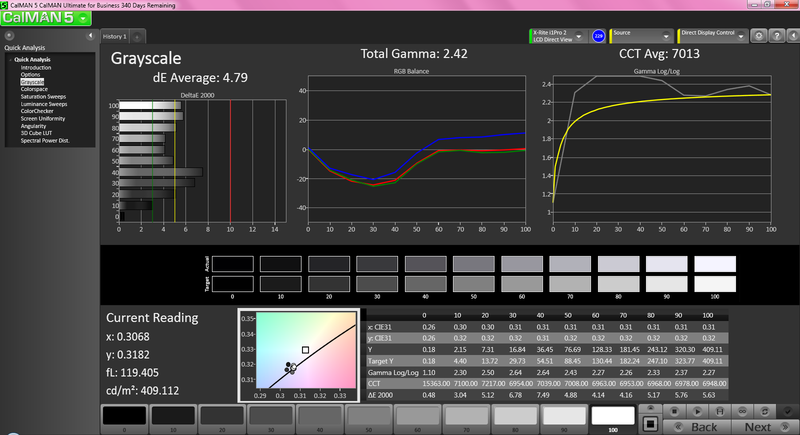 Here, the discrepancy drops to just 0.1 GHz, but in our test results, the gap widens a bit. 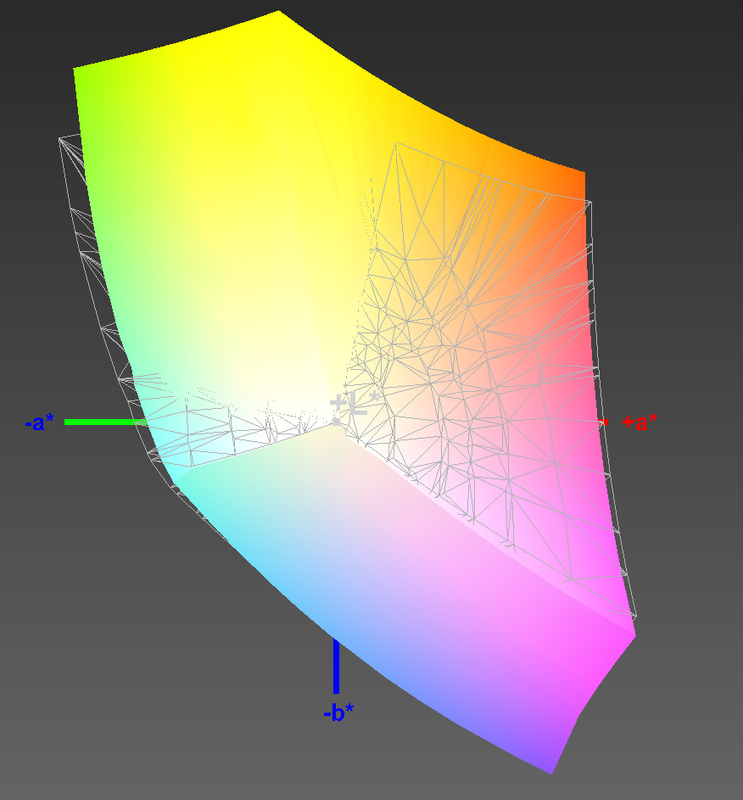 In Cinebench R15 multi-core 64-bit, we recorded 217 points, while the median for the i5-4300U is 253 points. 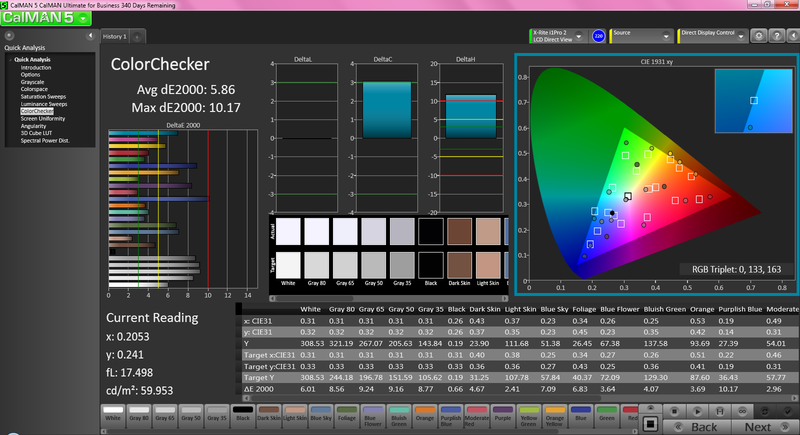 The same is true in Cinebench R11.5, where the i5-5200U’s 2.33 points can’t match the i5-4300U’s 2.8 (a 16.7% discrepancy). 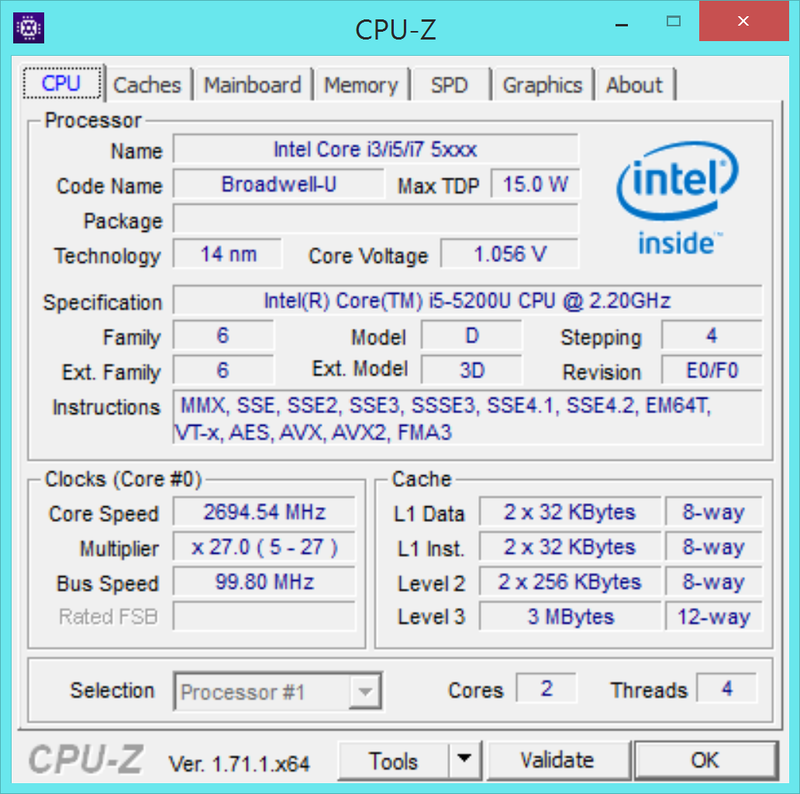 Based on this, it’s probably safer to compare the i5-5200U as it performs in the XPS 13-9343 to an i5-4200U instead. We don’t yet have finalized results from other notebooks featuring the same CPU, but be sure to keep an eye on our dedicated page for the processor here for updated lists of all the latest items in our database as they become available. 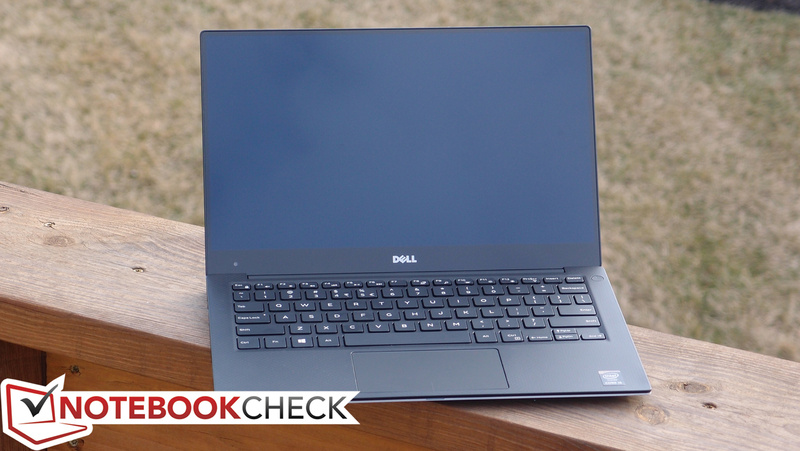 Our overall impressions of the XPS 13’s system performance are all positive: we spent no appreciable time waiting for things to launch, install, or update, and instead were generally pleased with the machine’s speed throughout our testing period. 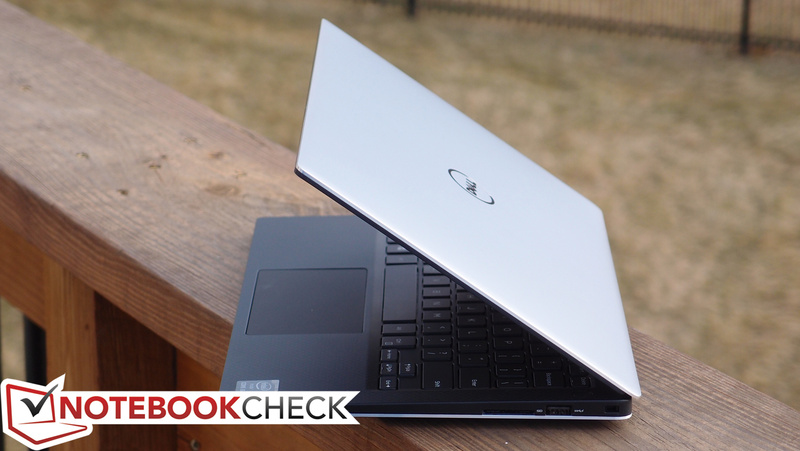 Our assortment of related benchmarks corroborates this sentiment, with PCMark 7 bestowing a respectable score of 4934 (above the Yoga 3 Pro, and nearly equivalent to the MacBook Air 13’s 5012) and PCMark 8’s Home Score Accelerated resting at 2582 (MacBook Air 13: 2584, Yoga 3 Pro: 2633). These scores are all close enough that none of them truly communicates any significant difference in speed between the three units in terms of overall everyday performance. That’s to be expected, too, as all three feature incredibly fast solid-state drives and comparable CPUs and memory configurations. 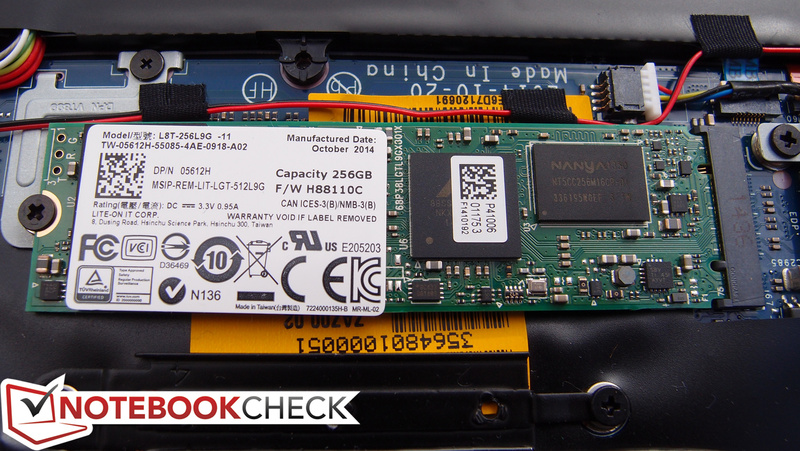 The solid-state drive with which our XPS 13 review unit came equipped was a very fast LiteOn L8T-256L9G, which is a 256 GB, 2280 form factor M.2 SSD. 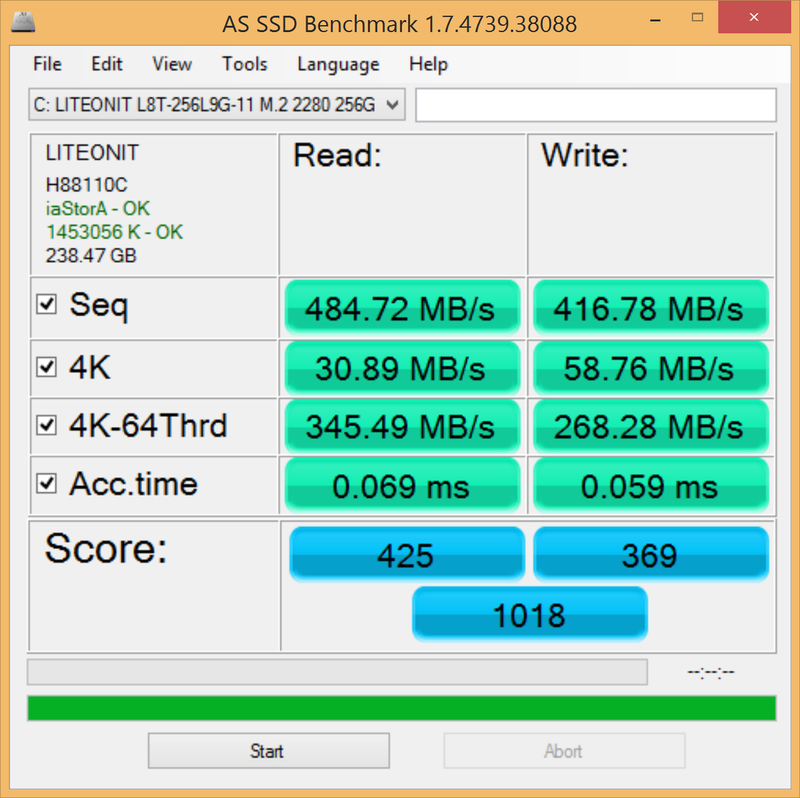 To compare it to the already blazingly fast options found in the Apple MacBook Air 13, Yoga 3 Pro, and Microsoft Surface Pro 3 might seem like splitting hairs, but for sake of context: AS SSD’s measured sequential R/W speeds (485 MB/s and 417 MB/s) are well above those of the Yoga 3 Pro’s Samsung PM851 SSD, while the MacBook Air’s sequential speeds dwarf both of the other candidates. 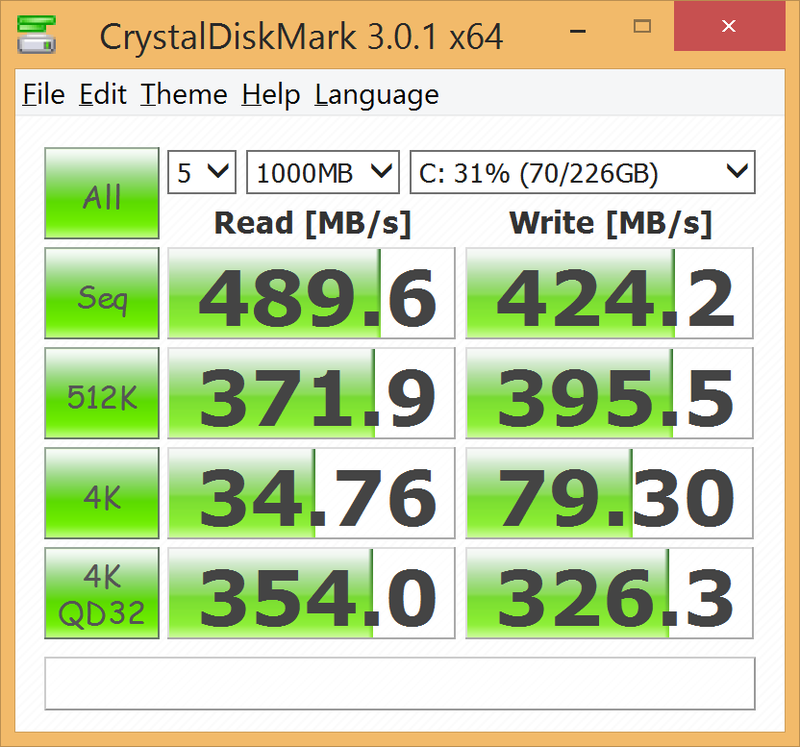 However looking at 4K speeds (which better approximate daily usage), the XPS 13 is the best of the bunch, with the exception of the 4K-64 Read speed of 345 MB/s slipping short of the MacBook Air’s 464 MB/s. Nevertheless, total scores of both the XPS 13 and the MacBook Air’s storage from AS SSD are both incredibly high (XPS 13: 1018 points, MacBook Air: 1086 points), and the Yoga 3 Pro isn’t too far behind (934 points). 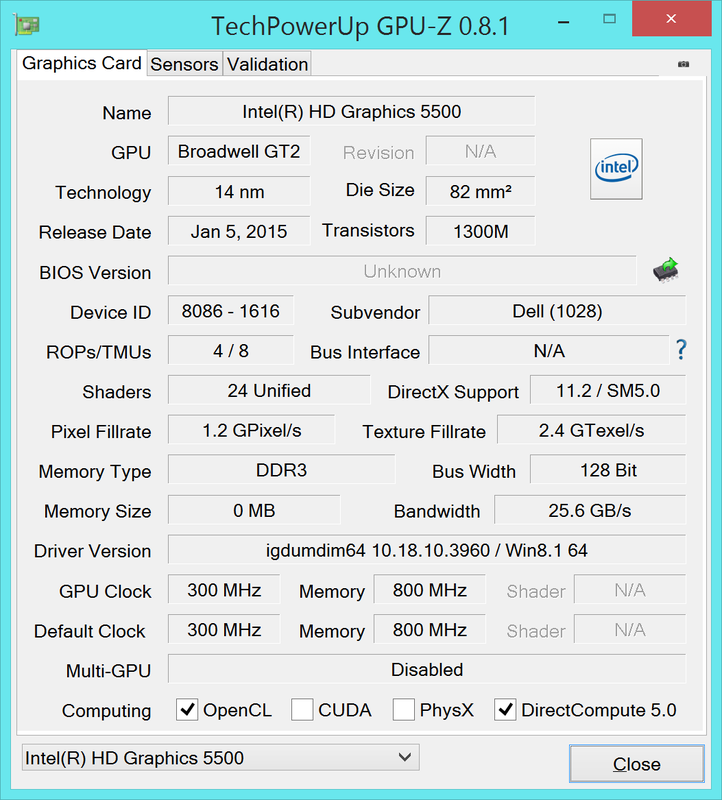 We expect to see a modest improvement in GPU performance over the previous generation Haswell chips with the XPS 13-9343’s integrated Intel HD Graphics 5500. That’s thanks to 24 Execution Units (versus 20 in HD Graphics 4400 CPUs) and a thoroughly revised GPU architecture to provide better performance-per-clock. 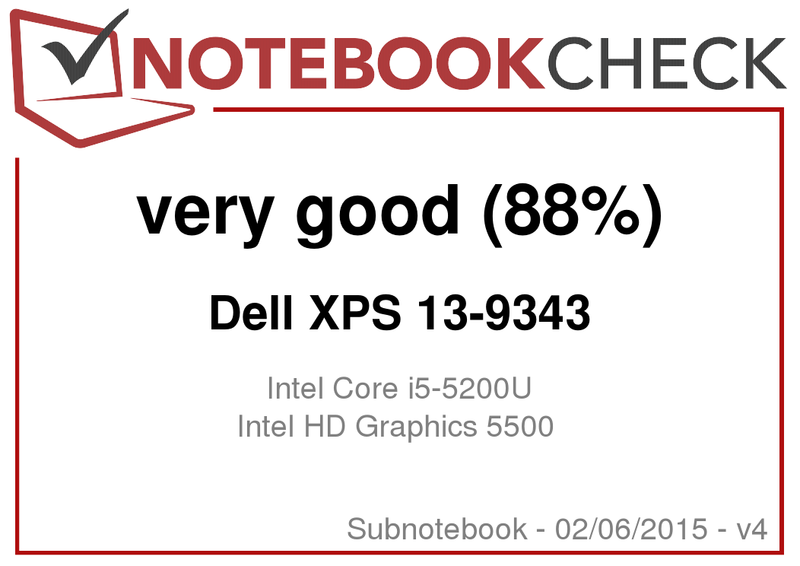 Sure enough, as our benchmarks show, performance has climbed a notch, though naturally the XPS 13 is not meant to be a GPU powerhouse. The 3DMark Ice Storm score of 46293 is nothing to sneeze at for an Ultrabook. While idle, the XPS 13 is practically silent under all circumstances; we measured just 30.4 dB(A) maximum. Under load, the machine is still normally pretty quiet—that is, until you reach the very highest levels of stress, where eventually it can reach 48 dB(A) (which is quite loud). This is rare, however, and it seems that the machine does a good job of remaining within near-silent or at least tolerable noise levels during most every scenario. A quick note about the CPU coil whine which some users complained about on previous XPS 13 models: in a completely silent room, we placed our ear directly to the keyboard and listened while we stressed the CPU. On the left side of the keyboard under these circumstances, it is possible to hear a faint electrical noise which could be classified as coil whine. However, four to five inches above the keyboard it becomes impossible to detect, and at the distance one normally sits from the screen this would never be noticed at all. 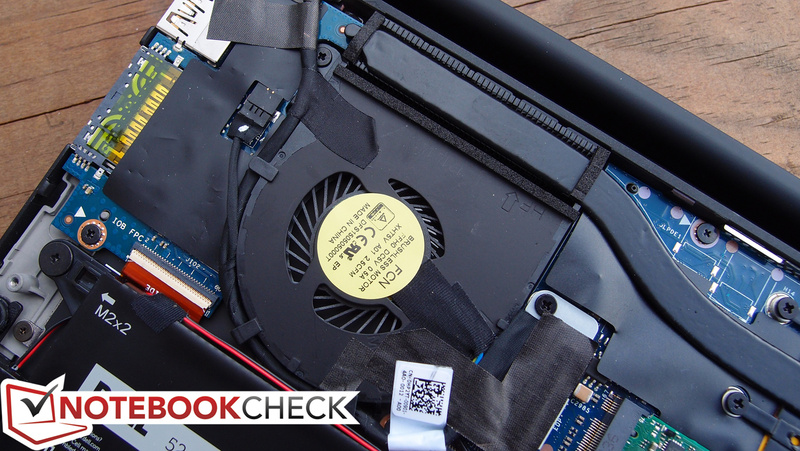 What remains is considerably fainter than was reported by some users on previous models, and the result is that, when the cooling fan is off, the XPS 13-9343 is practically silent. As early owners of the machine will also testify, the problem has been solved. 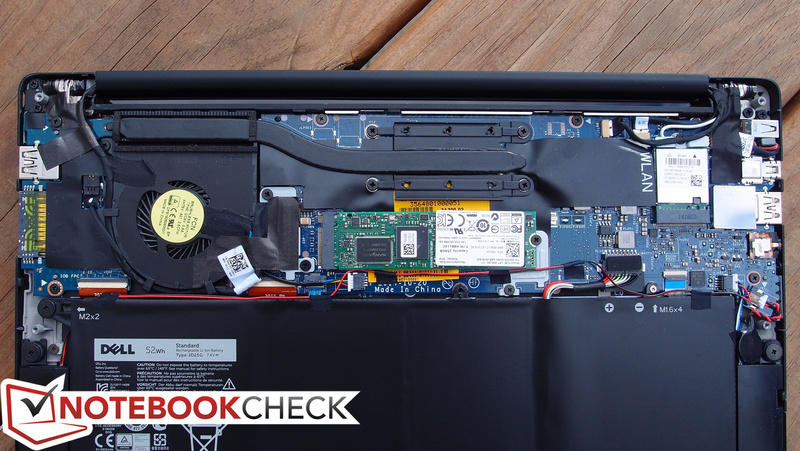 In terms of thermal management, the XPS 13-9343 is a real winner. 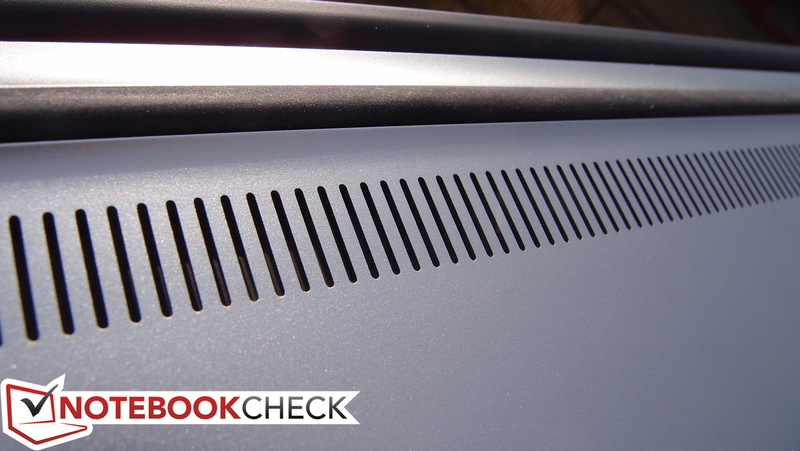 The notebook draws in air through a large cutout on the bottom and exhausts it through a vent in the hinge. And it works; even under the highest levels of stress, we measured just 30.4 °C and 29.9 °C average on the top and bottom of the base unit respectively. 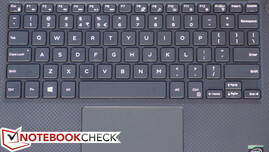 The hottest point was the rear center of the notebook (top and bottom), with an average of around 41 °C—still hardly uncomfortable by any means, and fortunately directly in-between the user’s legs while the notebook is resting on the lap. 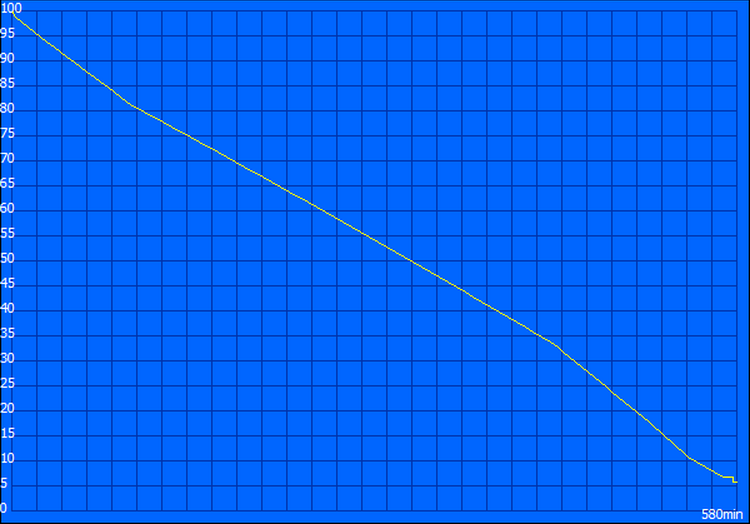 During idle operation, temperature readings plummet to an average of 24.6 °C / 24.3 °C (top/bottom). 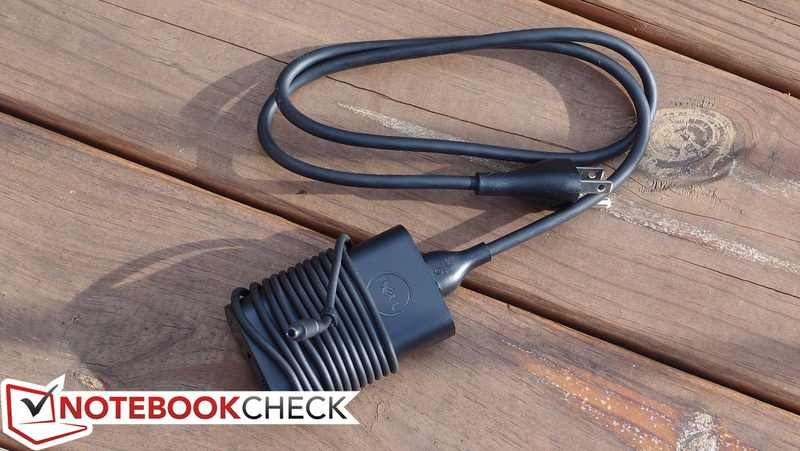 This is thermal management done right. 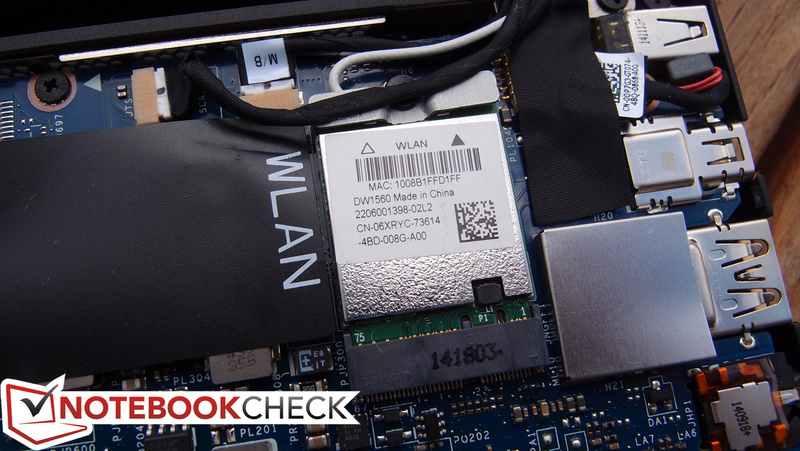 (+) The average temperature for the upper side under maximal load is 30.4 °C / 87 F, compared to the average of 30.7 °C / 87 F for the devices in the class Subnotebook. 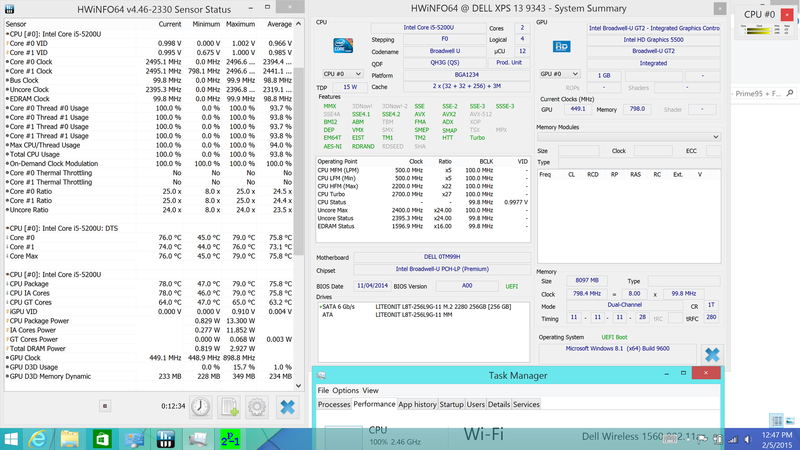 However, the XPS 13 aced the CPU stress test. Under 100% CPU load (using Prime95), we monitored clock rates and saw nothing less than 2496 MHz (the max turbo frequency) the entire duration of the test. The maximum temperature recorded by HWiNFO was just 78 °C, which is equally impressive, especially since the Broadwell CPU can apparently handle temperatures in excess of 100 °C. 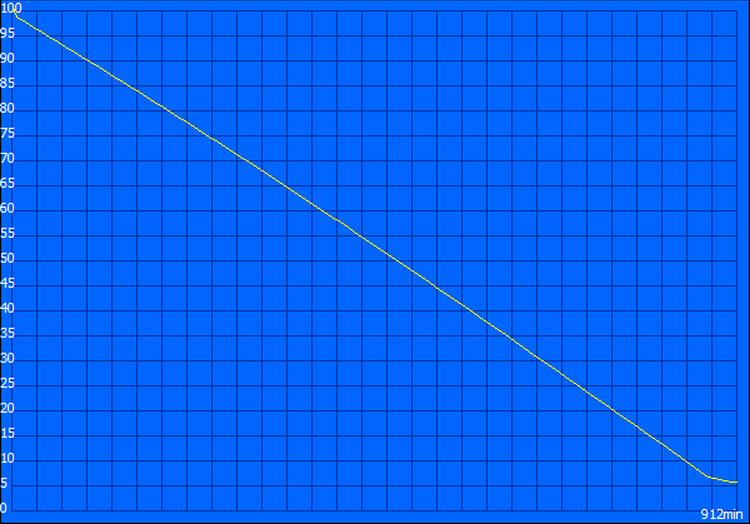 Meanwhile, GPU stress is a somewhat different story. Here, the clock rate initially peaks at its 900 MHz maximum, but it subsequently quickly drops to the somewhat lower 750 MHz – 850 MHz range. Nevertheless, temperatures remain at a reasonable 78 °C (maximum 81 °C), so throttling isn’t at hand. If anything, it’s TDP or firmware-related limitations (rather than purely thermal constraints) which keep the GPU from performing to its highest potential. Finally, under combined CPU and GPU stress, the GPU frequency drops to around 700 MHz average, while the CPU clock rate hovers between 1.4 and 1.5 GHz. Temperatures once again do not exceed 80 °C. The top of the keyboard heats up under this extreme stress, but it’s still not bothersome. Meanwhile, the bottom of the machine is warmer but still comfortable to the touch. 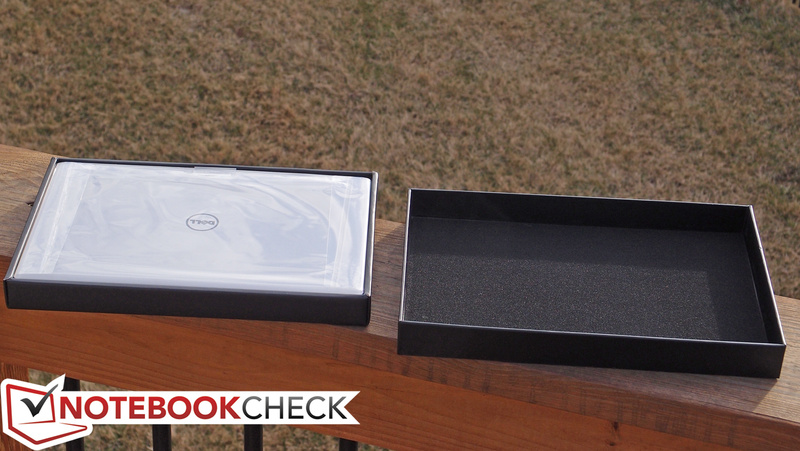 The Dell XPS 13-9343 sees its speakers relocated to the edges of the base unit (similar to the XPS 12’s design). This is a better location which yields both clearer audio and better stereo separation. The drivers are just 1 W apiece (2 W total), but their volume level is considerable: while frequency response suffers somewhat under higher volumes, it’s nevertheless enough to fill a medium-sized room comfortably. 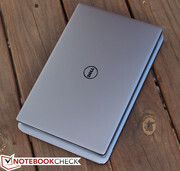 Though we rarely find ourselves enamored with the effects of post-processing software, there’s no doubt that the Waves MaxxAudio Pro software that Dell uses makes an enormous difference in the quality of the XPS 13’s sound. 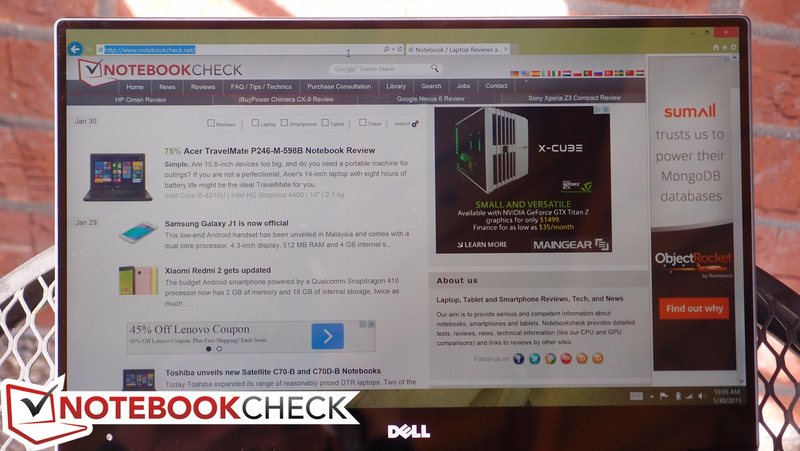 It’s the same software package that we found on the Latitude E7240 and E7440, and together with the high-quality drivers, we came away legitimately impressed with the results. The same holds true here. While the customization software is quite rich with options, it’s easy enough to just leave it at its default settings and go. The shape of the sound includes a predictable emphasis on the high frequencies, but there’s a surprising amount of low-frequency audio accounted for as well (thanks to the MaxxBass feature). The sounds retains a good amount of clarity also throughout it all. Overall, the audio is very good for such a small notebook. 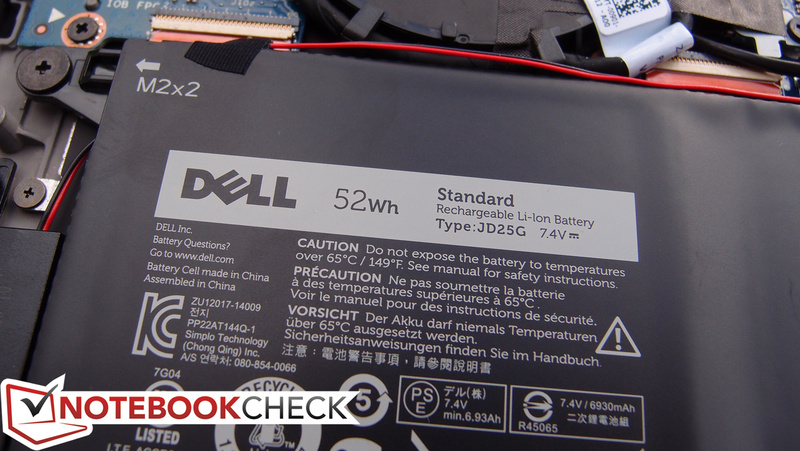 The XPS 13 features a rather large 52 Wh internal battery that consumes roughly half of the internal real estate of the notebook. Couple that with the efficient 15 W TDP Broadwell chipset and we should see some pretty inspiring numbers. Beginning with the Battery Eater Pro Reader’s Test (maximum runtime; on Power Saver profile, all wireless disabled, brightness minimum), we measured 15 hours and 12 minutes of runtime. That’s quite good, though not quite as good as the Microsoft Surface Pro 3’s ludicrous 18:16 or even the previous generation XPS 13-9333’s 16:27 (that notebook also featured a slightly larger 55 Wh battery to be fair, not to mention a lower-resolution panel). On the flip side, the Classic Test (minimum runtime; High Performance profile, wireless on, brightness maximum) produced a result of 2 hours and 20 minutes—not bad. The most realistic of the tests, however, is the WiFi Surfing test, where we activate Power Saver, set brightness to as close to 150 cd/m² as possible (40% in this case), and simulate web surfing across a variety of sites. The result here was an excellent 9 hours and 40 minutes—nearly two hours longer than the previous XPS 13 (7:45) and over an hour longer than both the MacBook Air 13 (8:35) and Microsoft Surface Pro 3 (8:24). 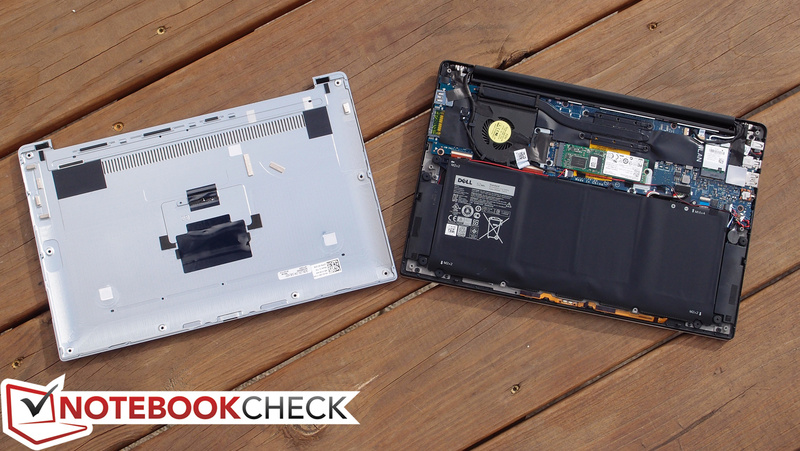 The Yoga 3 Pro can’t hold a candle with a runtime of just 6:19. 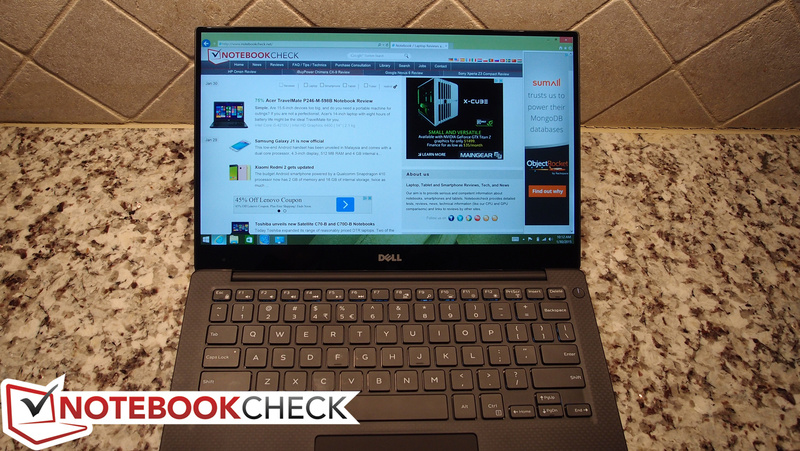 The XPS 13’s performance is excellent to say the least. It’s also worth mentioning that, although our results didn’t measure up to Dell’s estimates, they predict a runtime of nearly 28% better on the lower-resolution 1080p non-touch panel. It might not be worth sacrificing touch for many consumers in this case, but assuming the rest of the attributes are at least comparable between the screens, that means we should be able to expect that model to achieve runtimes of over 13 hours under these same settings—which is remarkable. Even with high brightness we would probably be looking at close to 10 hours. Another day, another serious contender for the ultraportable crown. 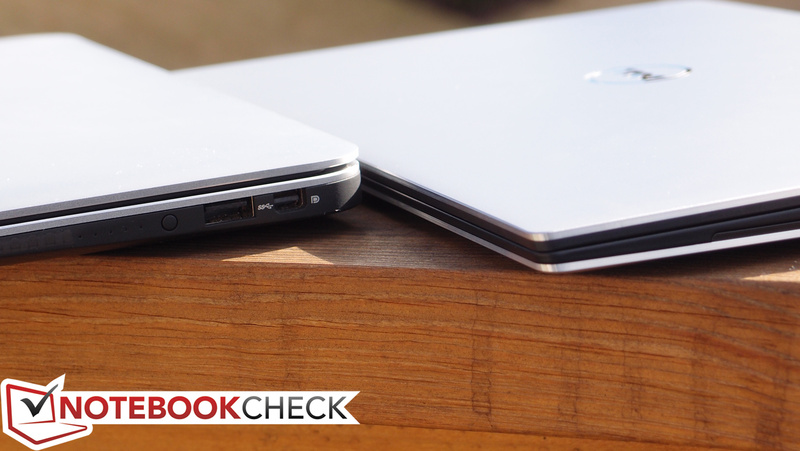 This past year alone, we’ve seen the latest MacBook Air revision (which, for all its strengths, features a relatively pedestrian display lacking touch), the Microsoft Surface Pro 3 (which lacks a high-quality keyboard), the ASUS Zenbook UX303LN (whose keyboard and temperatures leave something to be desired), the Yoga 3 Pro and HP EliteBook Folio 1040 (which feature middling battery life and other reservations)… the list goes on and on. Most consumers would be thrilled to own any of these fantastic devices. But what if you want something with an even better screen, even better battery life, an even smaller case, and an even nicer keyboard? You can’t have it all, we always say. 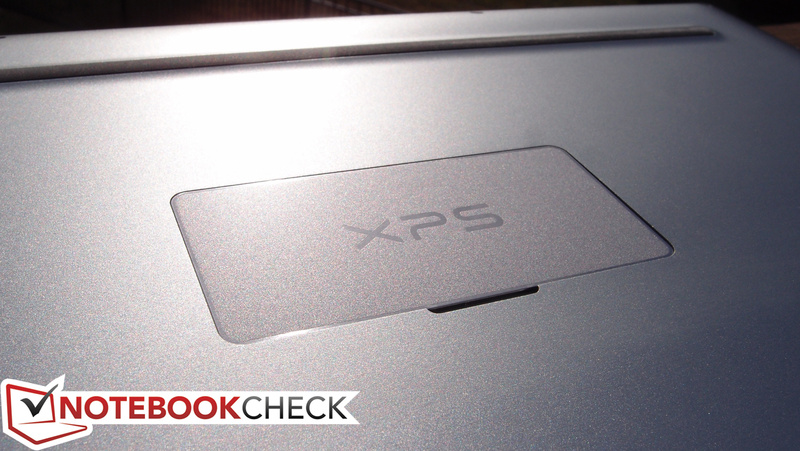 But the XPS 13-9343 is setting out to prove us wrong. 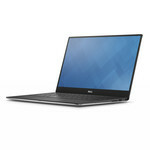 Dell’s latest Ultrabook pulls out all the stops with smart revisions to an already widely-praised design, complete with a top-notch 13.3-inch QHD+ IPS touchscreen (with strong brightness, terrific contrast, good color reproduction, and an almost nonexistent bezel), a fabulous battery life of up to 10 hours under practical use, and build quality that’s to die for. That’s all on top of a well-tuned backlit keyboard and touchpad, fast system performance, good quality audio, upgradeable storage (along with some degree of maintenance possible), and cool operation under even the harshest loads. And best of all, it’s crammed into an impossibly small 11-inch notebook footprint, housed in high-quality aluminum and carbon fiber casing, and tipping the scales at just over 2.8 lbs (1.276 kg). Seriously? For users in search of their next ultraportable companion, it seems an obvious finalist—but as always, there are a few caveats worth mentioning. 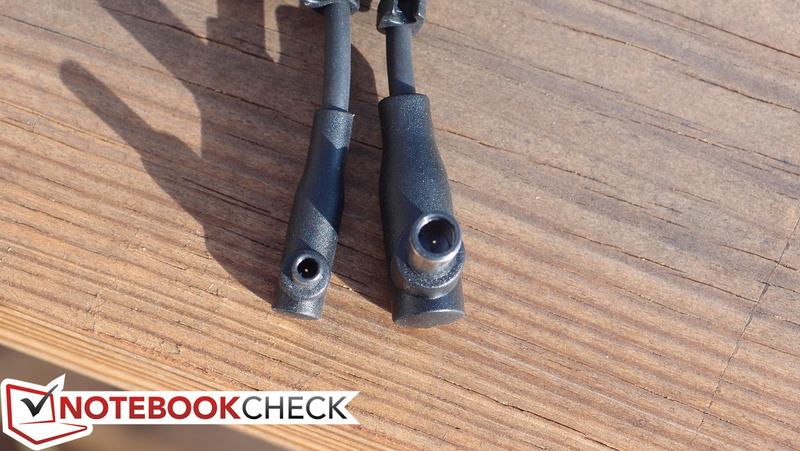 For starters, it lacks that valuable third USB port that the Yoga 3 Pro manages to include as a combination charging port—and the rest of the port selection is comparably constrained (as with most Ultrabooks)—so you’re probably going to want to spring for a port replicator along the lines of the Dell DA100 we covered in this article. The wireless performance during our testing was serviceable, but not great. 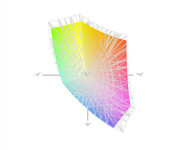 Under rare circumstances, the fan can also get pretty noisy—but only under a fairly significant load. Then there’s the price: while the $799 starting configuration seems like a fair deal, most users are likely to spring for the touchscreen (which is also higher resolution). These models start at a much pricier $1,299—and the configuration we reviewed (which also saw the SSD bumped up to 256 GB from the 128 GB of the lower models) retails at $1,399. Add in the $60 port replicator and you’re closing in on the $1,500 mark. It doesn’t seem ridiculous for what you’re getting, but that doesn’t make it any cheaper. 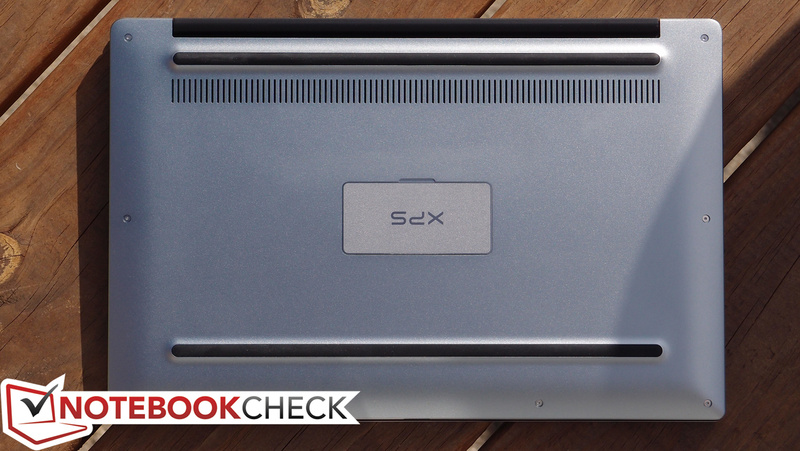 Still, in a world of $1,200 MacBook Airs and Surface Pro 3s, the cost doesn’t seem all that bad for a notebook that literally refuses to compromise. This might just be the most complete ultraportable package we’ve seen to date—but regardless of how you classify it, one thing’s for certain: it belongs on your short list. 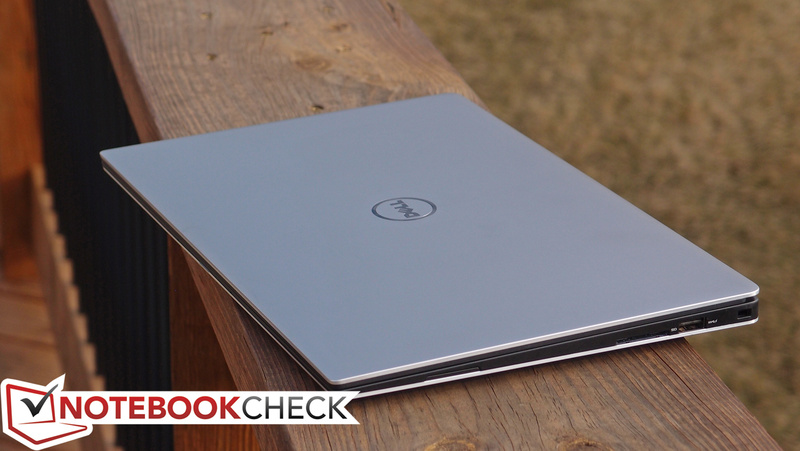 In Review: Dell XPS 13-9343. 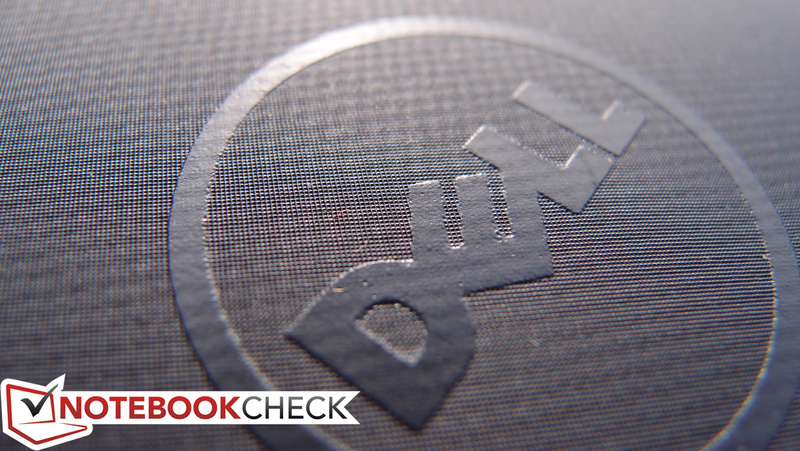 Test model provided by Dell U.S.
...gives way to designer hardware. The styling is quite similar to that of its predecessor. The bottom plate obscuring the labels still exists. It's attractive even when it's powered off. The webcam had to be relocated to accommodate the bezel shrink. 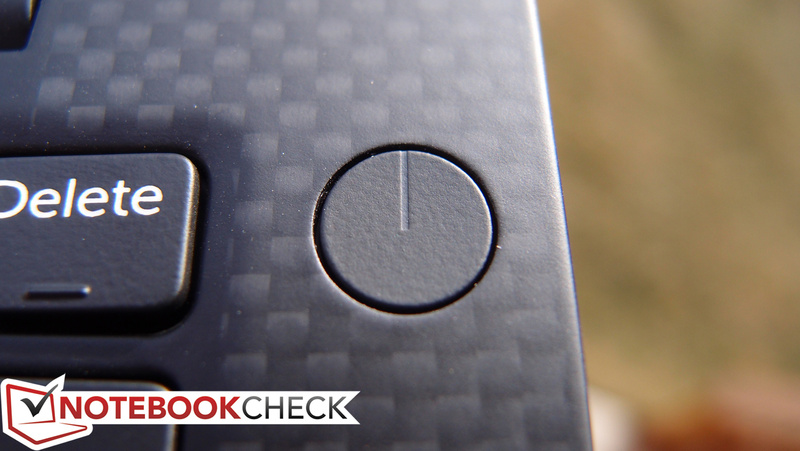 Speaking of relocation, the carbon fiber has moved from the bottom to the palm rest. 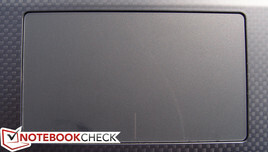 The key surface is smooth and high-quality. Travel is short, but feedback is good. The USB cable tucks neatly underneath for storage. ...and connects downstream to your Dell via one of two included cables. 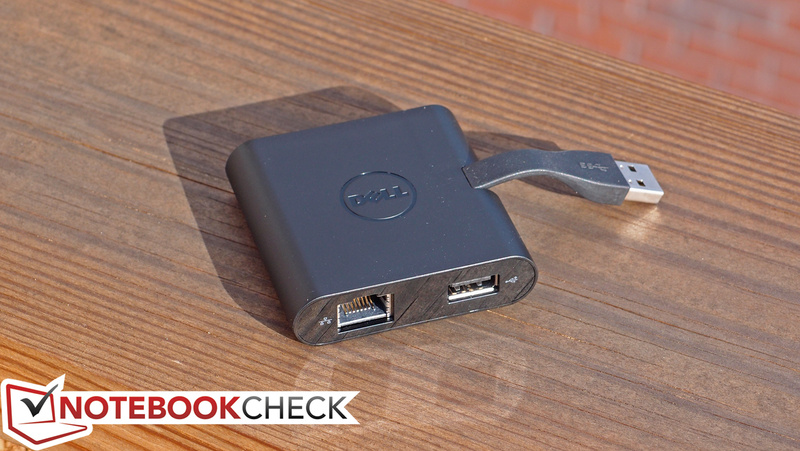 There's also room for two USB devices for charging. 12000 mAh provides a good bonus for on-the-go recharging. 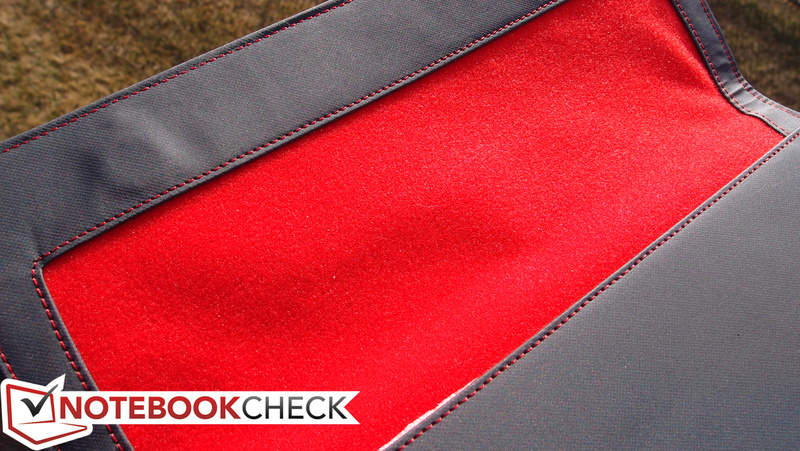 ...and a soft-touch interior to protect your XPS 13. And it fits like a glove! ...provides access to all the internals. The battery is large, to great effect. This little cooling fan is all the system requires. Left: The first-gen XPS 13. 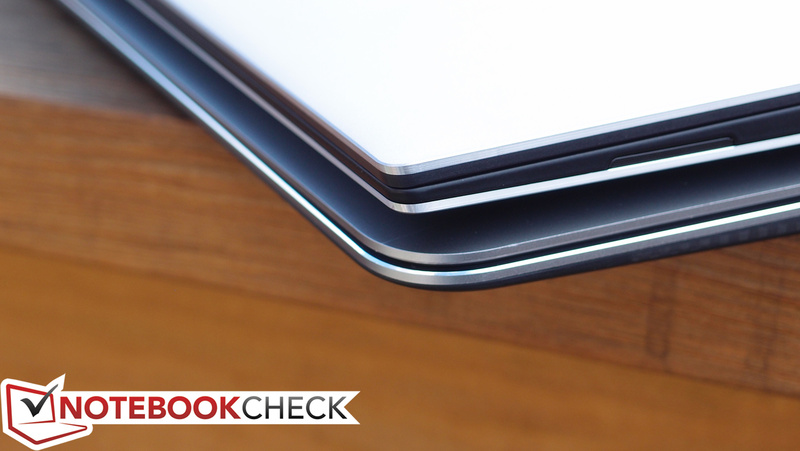 Right: The XPS 13-9343. Bottom: The first-gen XPS 13. 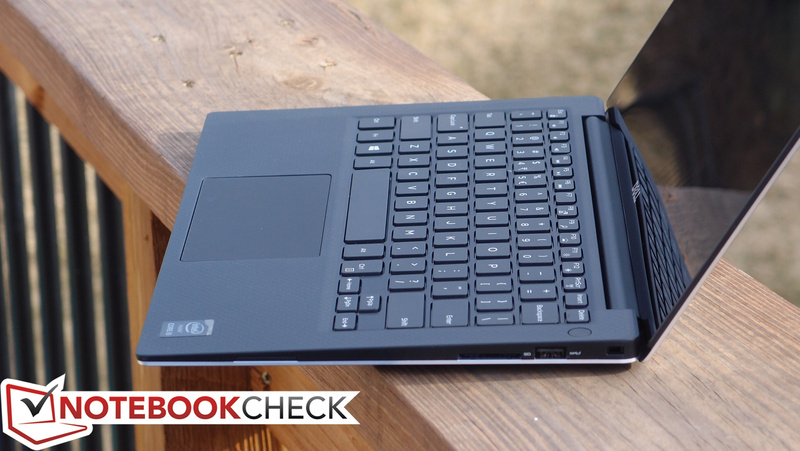 Top: The XPS 13-9343. The footprint is notably smaller. 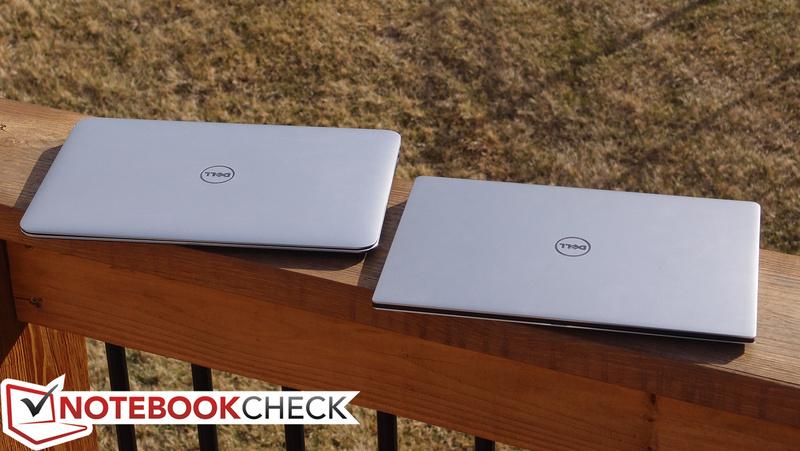 Left: The XPS 13-9343. Right: The first-gen XPS 13. 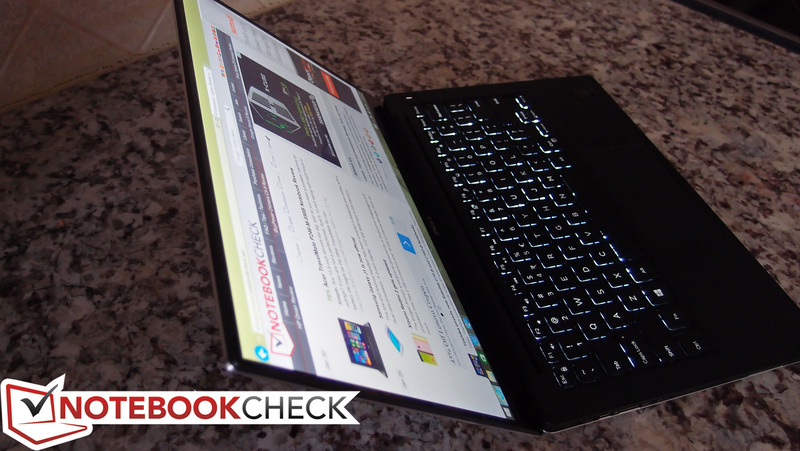 The pixel arrangement is superior to that of the Yoga 3 Pro's pentile display. 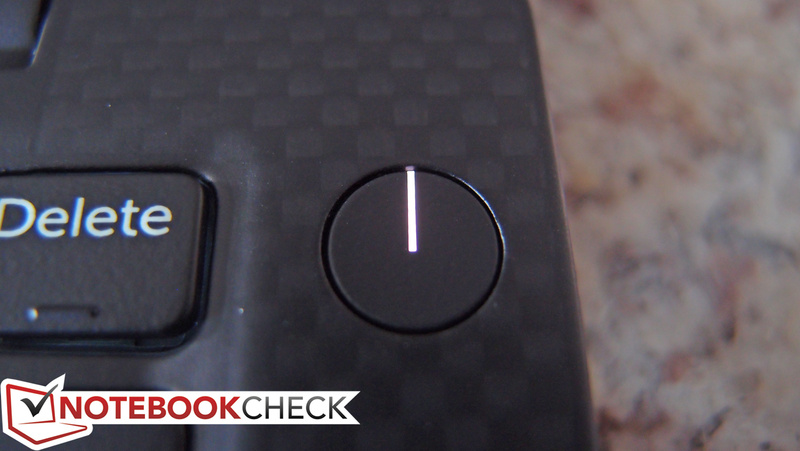 The power button glows stylishly when it's dark. Speaking of which, so does the keyboard. Viewing angles are as impressive as the machine's tiny form factor. We think this machine belongs on your short list. 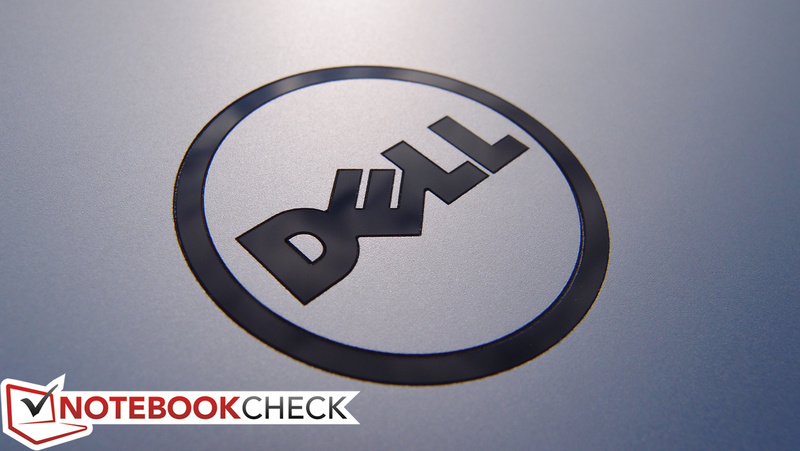 The smart evolutionary approach Dell has taken to improving this product. A better wireless card and possibly, somehow, a third USB port! The combination of great performance with excellent thermal management in such an impossibly small frame.